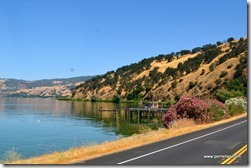 The pathway to Willits took us through miles of flat farm lands before skirting Clear Lake and depositing us near our next overnight site. 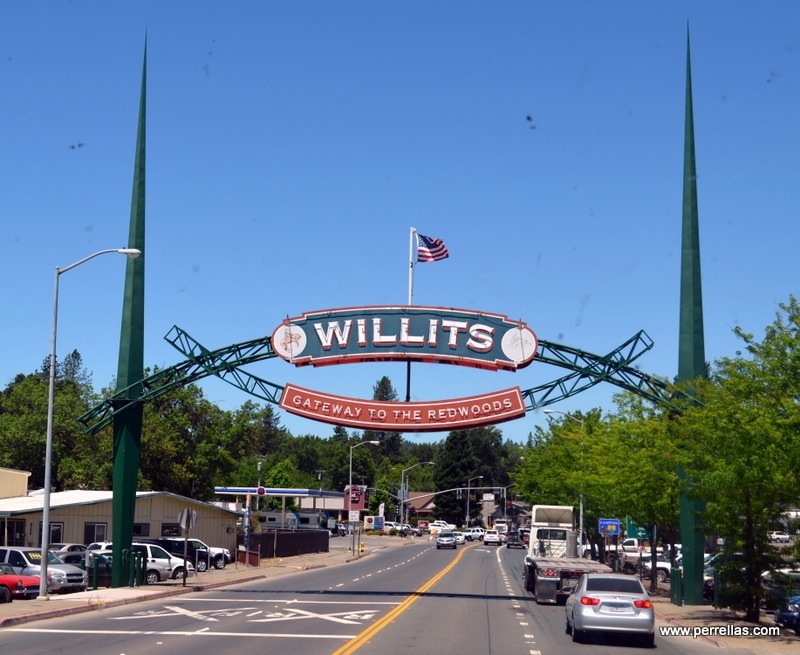 Willits California is another gateway to incredibly scenic beauty. 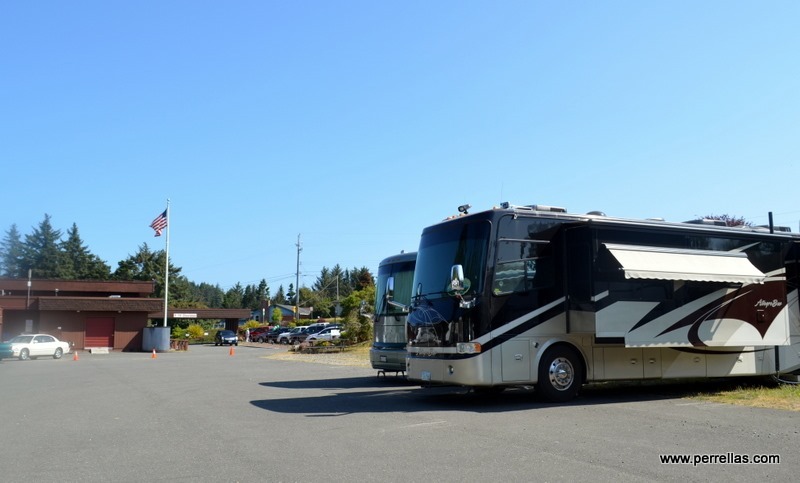 Our KOA campground sits blocks shy of the mountainous drive leading through conjoined families of giant Redwood forests for which the California coast is noted. 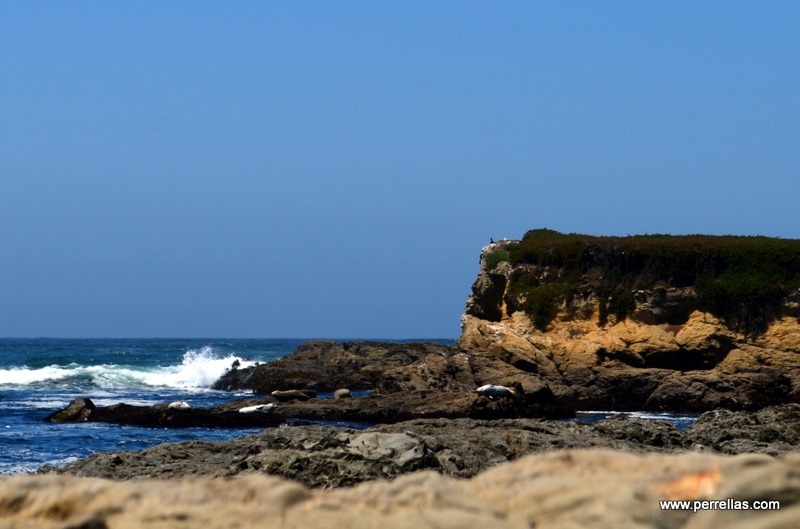 The road we will travel leads directly to California’s coastal waters and the splendor of the rocky west coast. 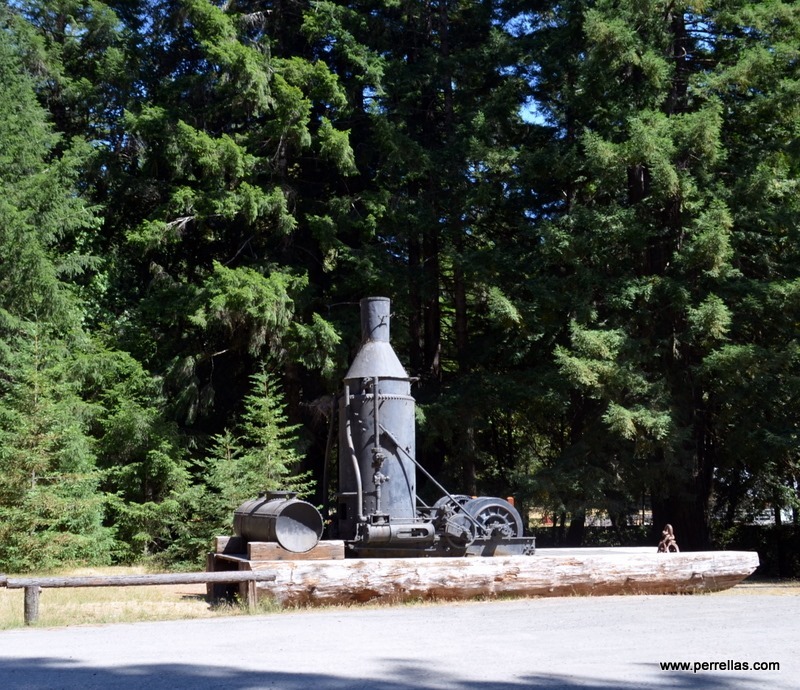 Our en route stop, a roadside park, featured a vintage machine used to transport logs up and down rivers called a Steam Donkey. 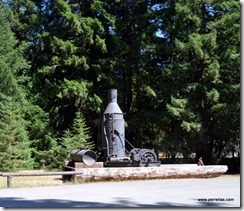 A common nickname for a steam powered winch or logging engine, the Donkey Engine was widely used in logging operations. KOA’s are family campgrounds, activities abound with much to do for children of all ages. 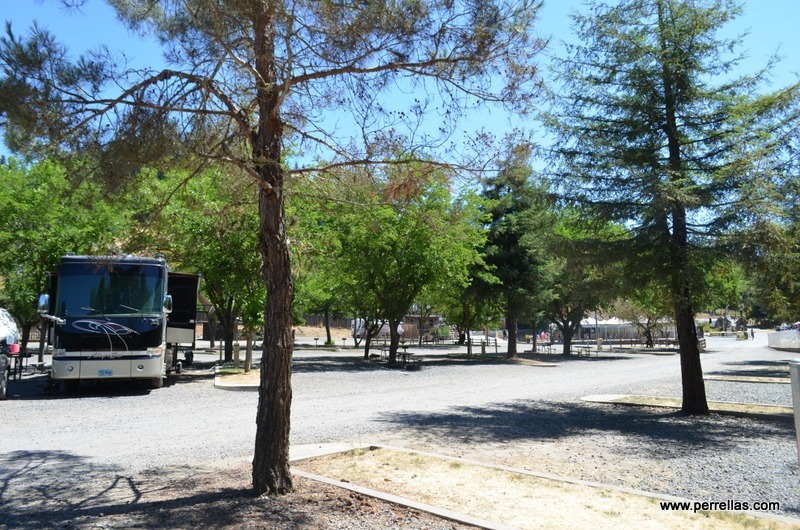 The Willits KOA boasts a petting zoo, swimming pool, water works area and their calendar was stuffed with activities. We parked by the entrance gate house, removed the car from the tow dolly, registered in the office and crept slowly to our site. Arriving at our space, I discovered John had not booked us with full hook-ups. Not a perfect situation but not a deal breaker so we settled in near the entrance of the park. 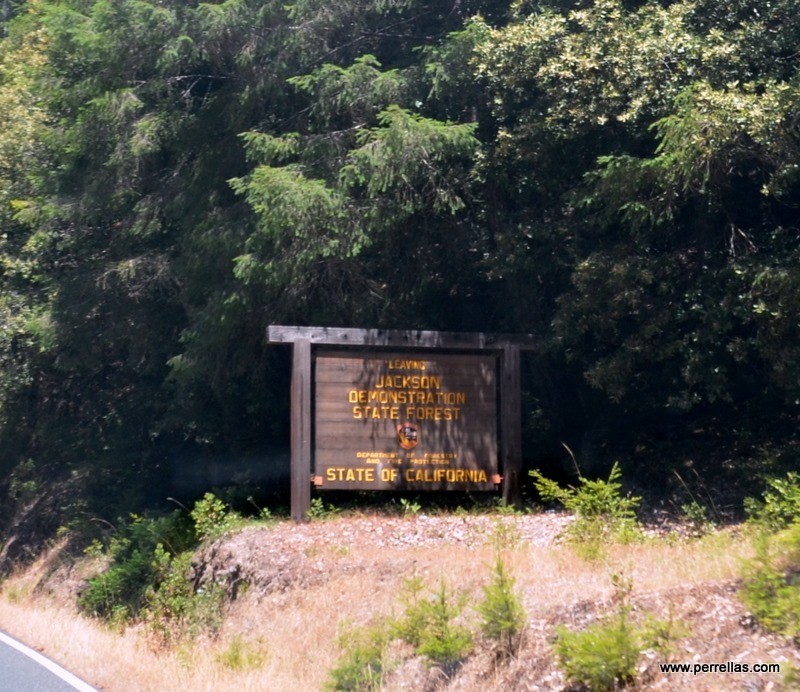 The gravel roads brought clouds of dust covering a two foot area of the air with each passerby but we arrived before the weekend rush so dust was minimal and all was quiet for a few of the following days. Summer being in full swing, the arrival of Friday brought families with children who dashed around everywhere on bikes and scooters. I am not fond of KOA’s. 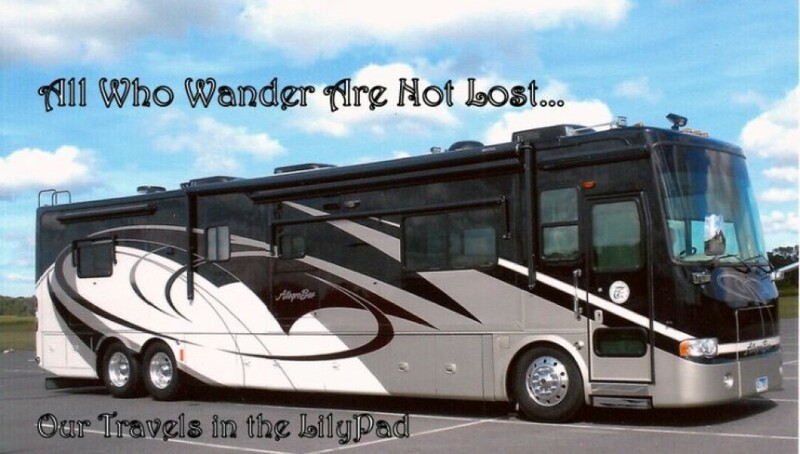 They cater to campers who bring hordes of children begging their parents for nightly smoky campfires, their arrival and departure times interrupt senior sleep hours and we pay for kiddie attractions and events not ever wanted, needed or used. After a quick grocery shopping trip for supplies, our day was done. Dinner, a Red Box movie, early to bed. This pause in our travels was a gift from John to yours truly. 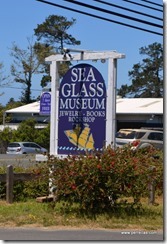 John booked the reservations, planned our itinerary and oversaw our visits to Glass Beach. I am not sure how my love of sea glass developed but the nuggets of sea-tumbled pastel colored glass fascinate me and whatever beach we visit, my eyes dart across the sands searching for the tiny treasures. 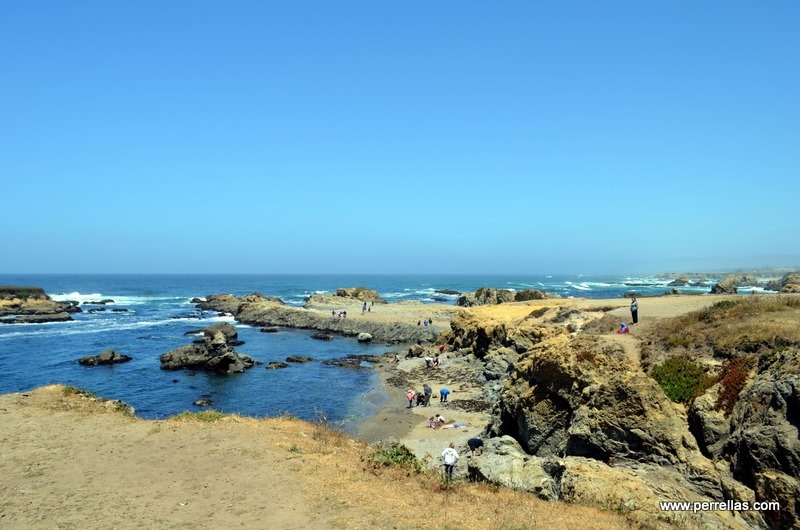 Rising early to drive in the crisp coolness of morning, our journey to Glass Beach began with a 30 mile trek through narrow, curvy roads and steep grades up and down the mountains. 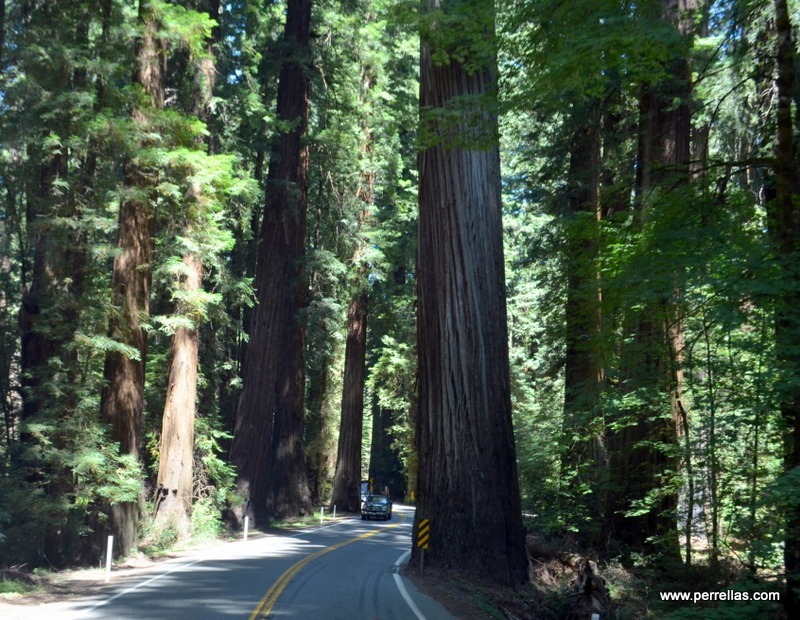 Giant Redwood tree families line the roadway and rise up to the sky in pods, each pod consisting of trees in various stages of growth. 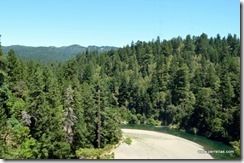 I opened my window to draw in the pungent earthy pine scented air. 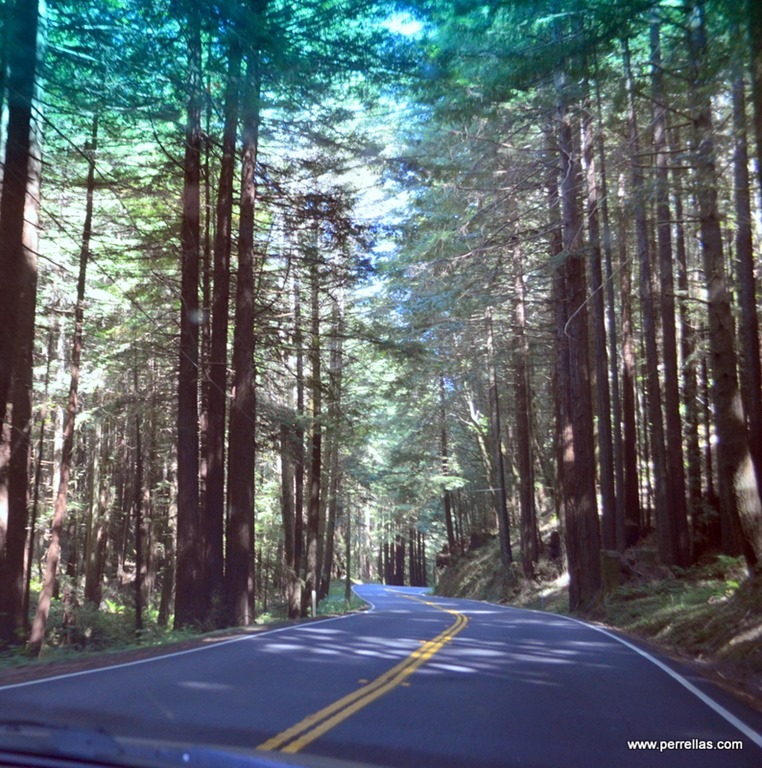 We shared the road with loggers bringing redwoods out of the forests and massive amounts of tourists zooming along the narrow twisting roads, some pulling RV’s, most in pick-up trucks loaded down with large family-sized packages of camping gear. 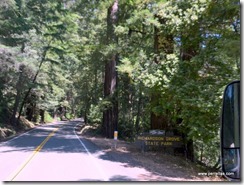 Shortly outside the grounds of the KOA is Jackson Demonstration State Forest, the largest of CAL FIRE’s eight demonstration state forests. With a long history of industrial logging activity beginning in 1862 and continued under private ownership until being purchased by the state in 1947, today there is an impressive greater forest growth than is harvested. 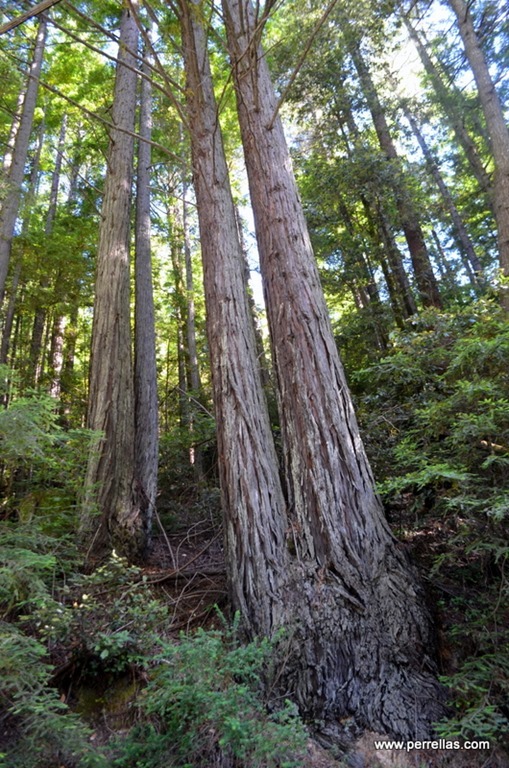 Coast redwood is the most common tree but Douglas fir, grand fir, hemlock, bishop pine, tanoak, alder, madrone and bay myrtle live in harmony with the redwoods. 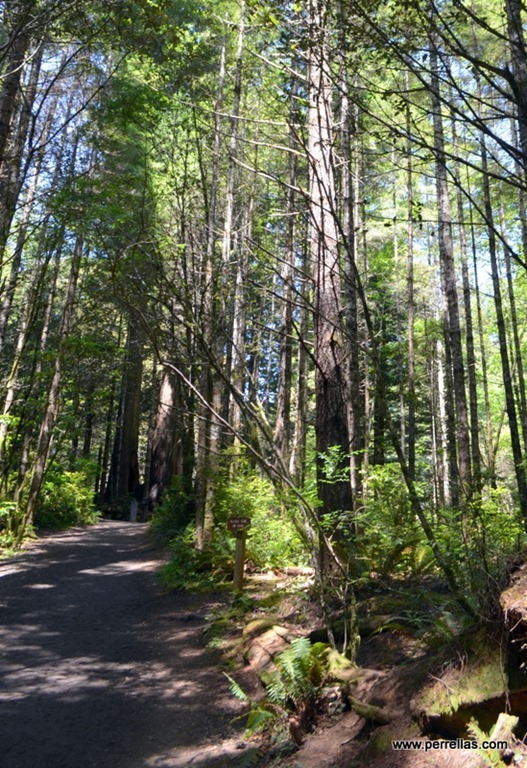 Easily walkable paths and hiking trails wind through the wooded forests. 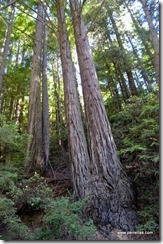 Posted trail guides inform visitors about the ecology, history and management of the redwood forest. 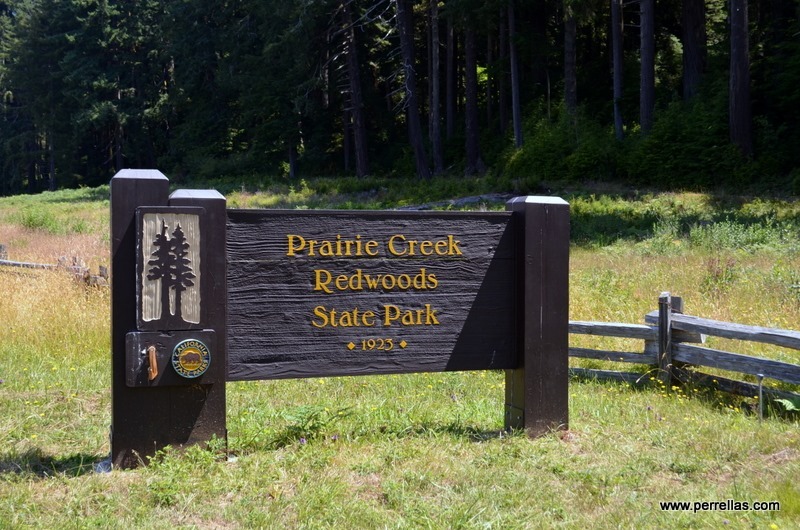 The area is recreationally dense and includes trails for hiking, biking, horseback riding, swimming and camping. 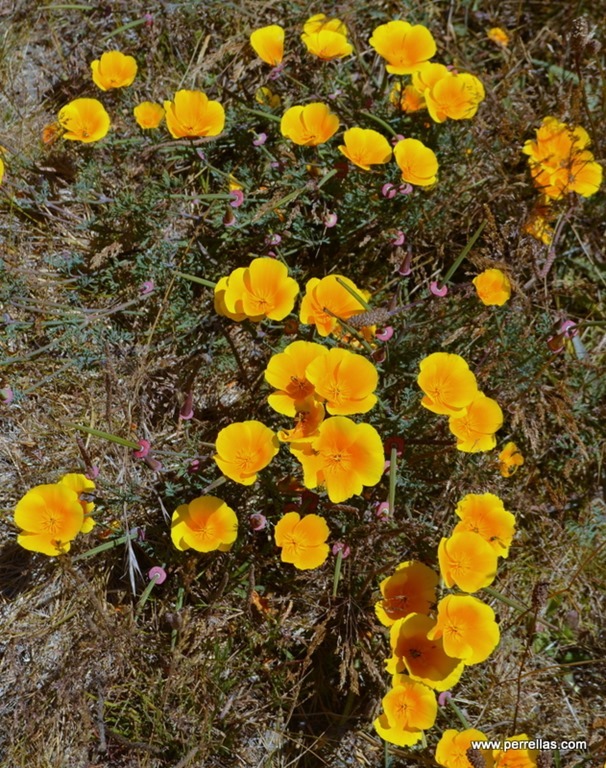 Passing through the ocean side town, I spied our first legal weed store with a bright patch of California’s state flower, the Poppy, growing in the yard. What us baby boomer hippies called “head shops” quickly are becoming the new age of drug store. 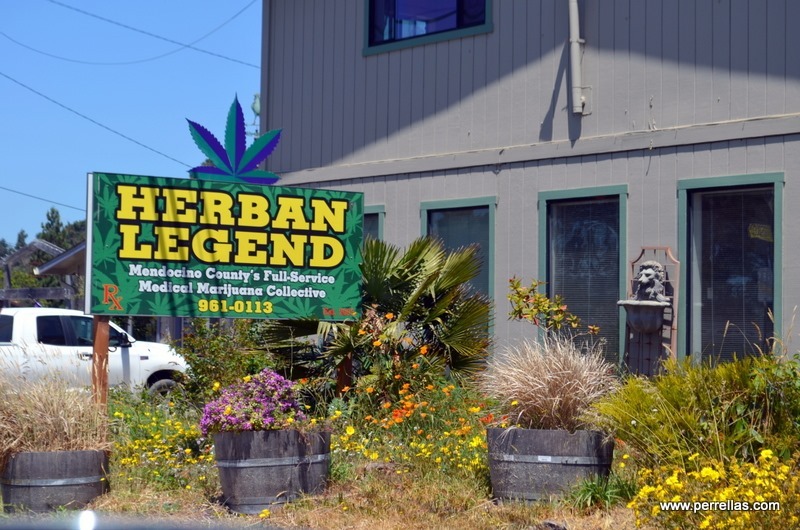 Selling pharmaceutical grade marijuana, the dispensaries are popping up along main drags near boarding states not yet convinced of legalizing cannabis. Arriving seaside nearly noontime, the beaches were quickly becoming filled with people, all ages, digging and sorting, searching and picking up glass, stone, shells and assorted keepsakes. 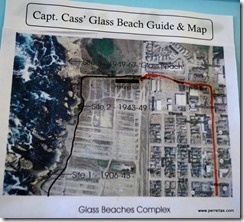 Even in the water, the glass was easy to spot although most was mini and micro in size. Being “balanced challenged” presented a little difficulty getting down to the water traversing steep rocky ledges, no stairs anywhere. 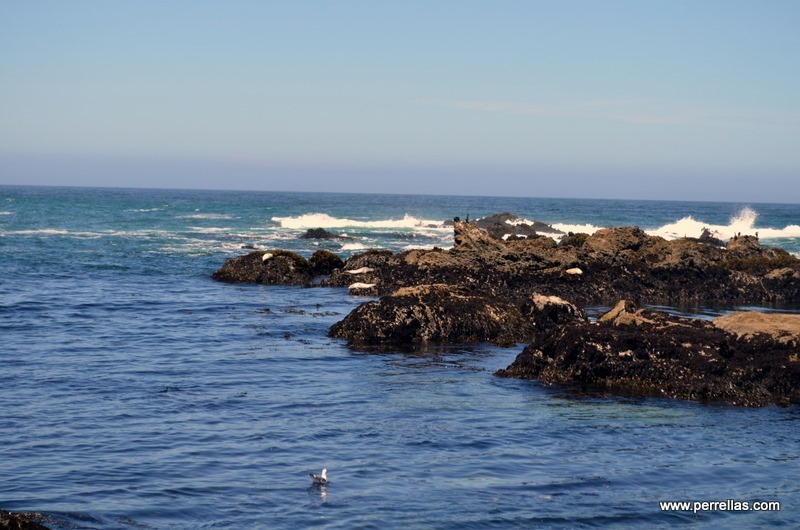 With my cane and John, I was able to reach the icy Pacific Ocean waters and wade through in search of sea glass, displacing sand with my crocs for photo ops. 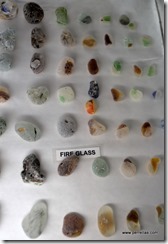 I found several of the opaque stones. 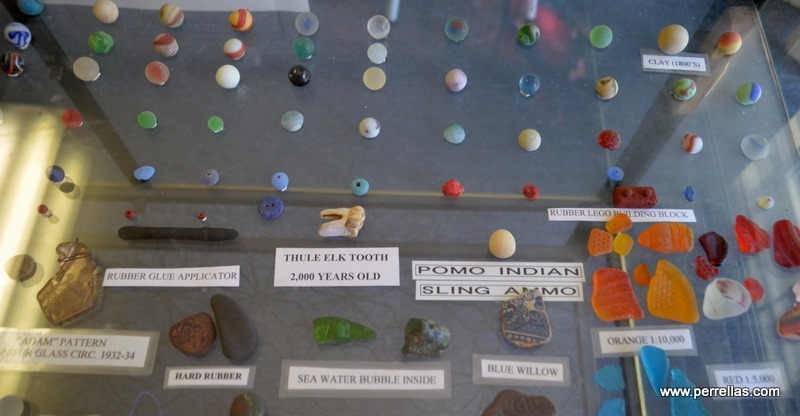 They had the appearance of tiny misshapen gum drops resting among the rocks and shells. 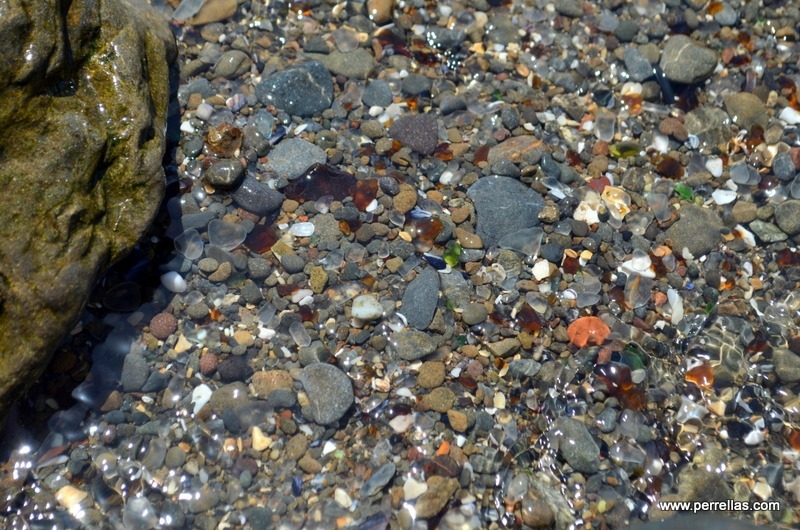 A few blubbery sea creatures were stretched out on the rocks, occasionally vocalizing their irritable opinions after humans had disrupted their nap-time schedule. 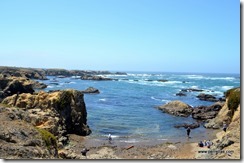 Beautiful day, incredible views, well worth the time it took us to climb down to where ocean flowed onto sand. KatieBug met a few new friends and enjoyed chillaxing with John while I sorted through the beach to find a bit of red. The shore was littered with broken sandals left behind. Tomorrow, if we return, my feet will be wearing something sturdy. 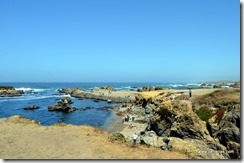 John chose the KOA campground for its proximity to Glass Beach in Fort Bragg. 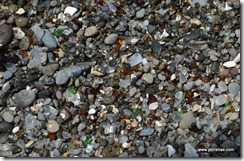 Although Glass Beach is a state beach, I read an article saying no one will search your pockets if you happen to slip in a few pieces of glass. 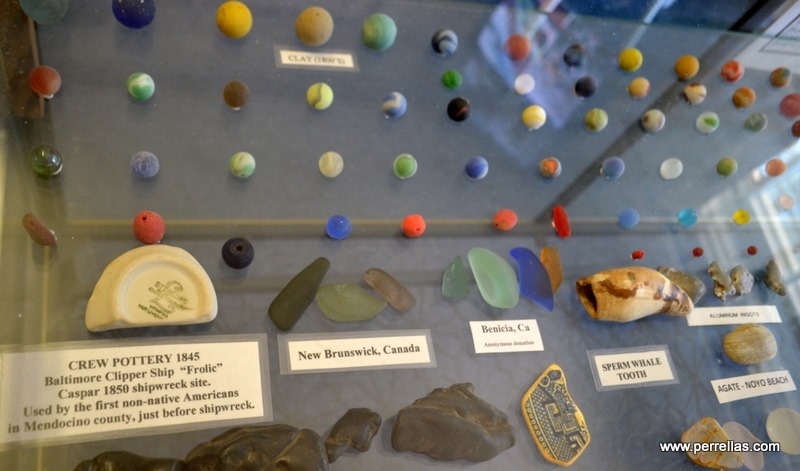 The sea glass is a result of years of trash being thrown onto the beach, the glass tumbled by the surf and washed back ashore. 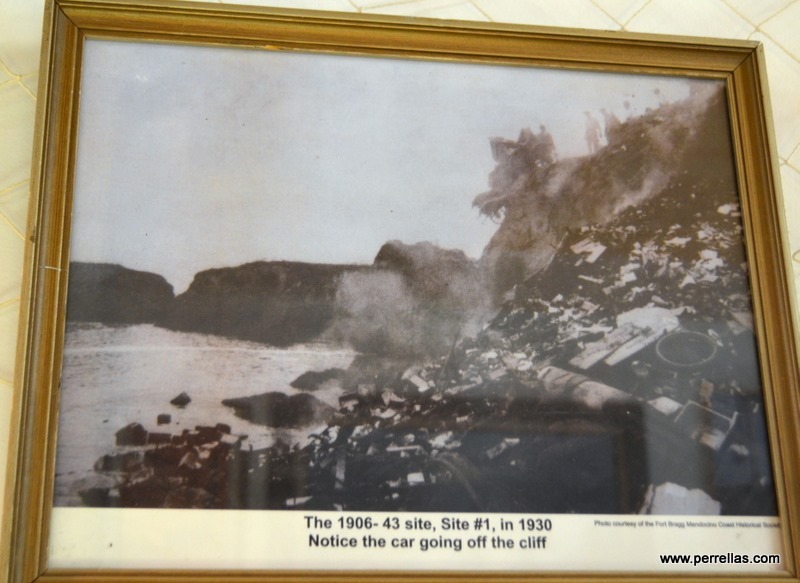 From 1906 until 1967, garbage dumps Site 1, Site 2 and Site 3 (a.k.a. 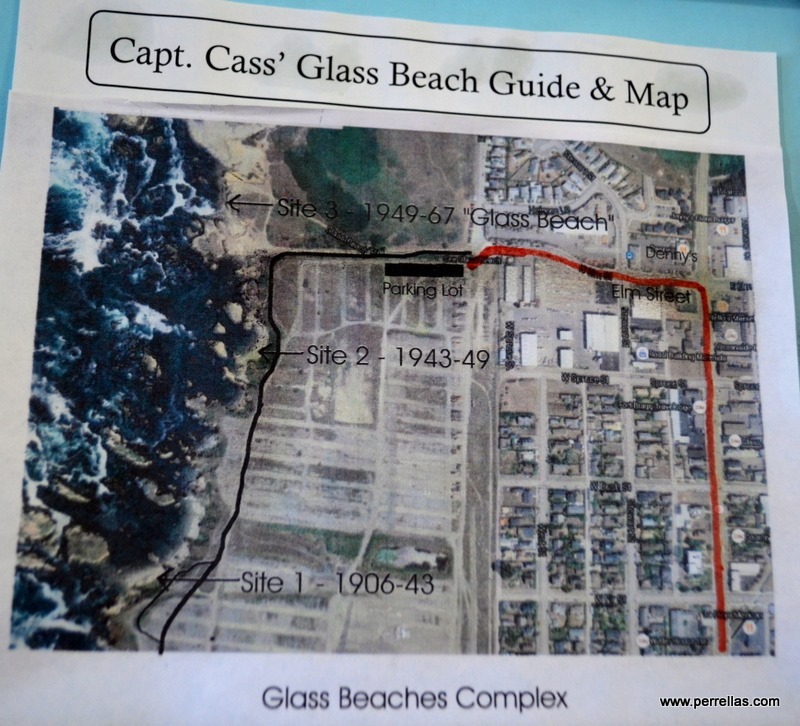 Glass Beach) were official dumps for the water fronted communities of the Fort Bragg area. 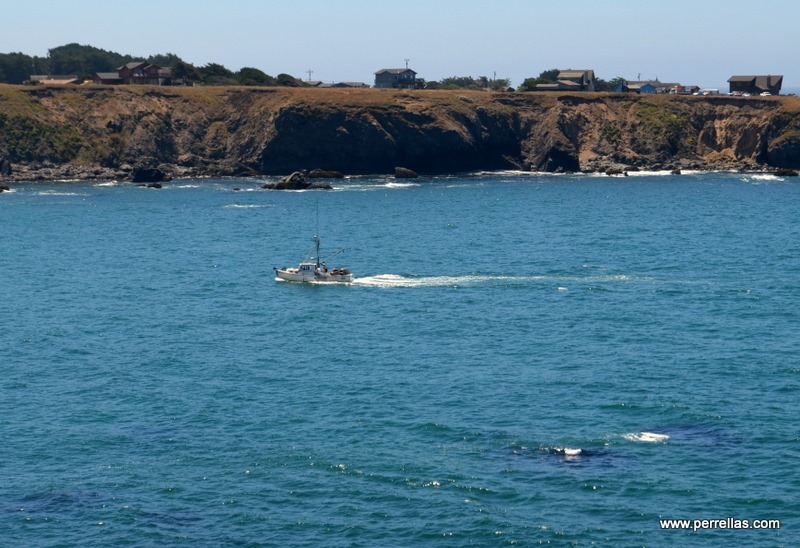 Tons of household trash, appliances, vehicles, metal equipment pieces, broken machines, garbage and glass was disposed of into the pristine waters by the now environmentally snobbish citizens of the California coastline. 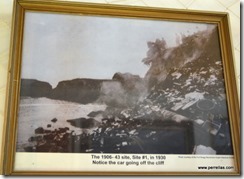 Fires were often lit to reduce the size of the trash piles. 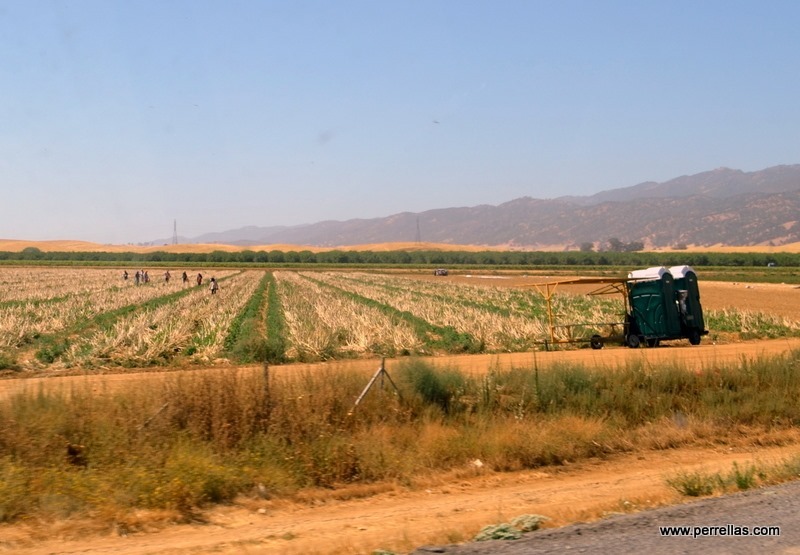 California State Water Resources Control Board closed the dumps in 1967 and clean-up efforts began to correct the damage. 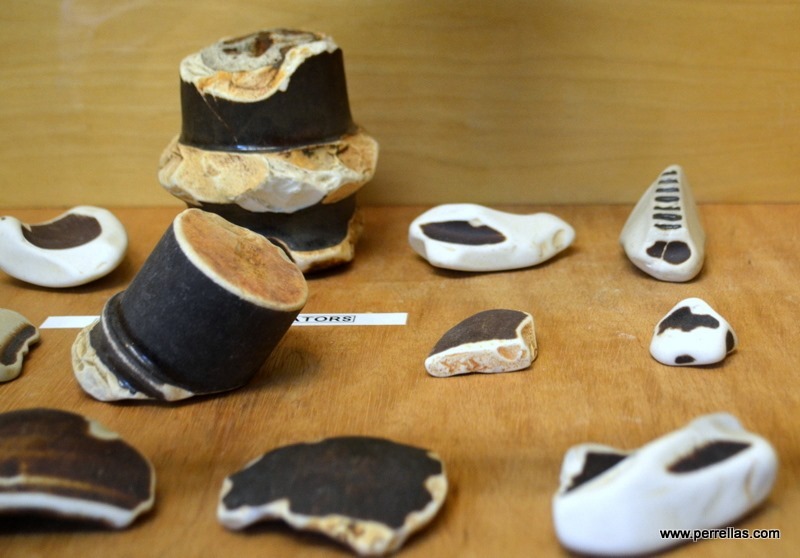 Over the next few decades, biodegradables were left and most metal was removed and sold, much being used in art pieces sold in the nearby town. 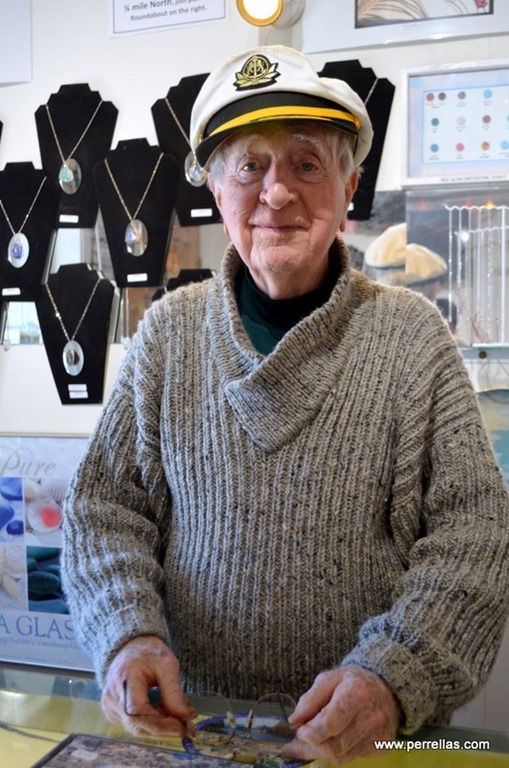 Pounding waves turned glass and pottery into collectables being sought by nearly two thousand tourists a year who visit the beaches each day in the Summer months. 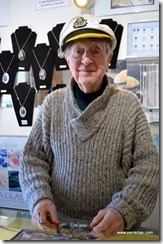 Because the glass is slowly diminishing, Captain J.H. 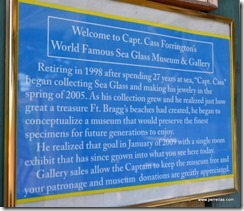 (Cass) Forrington has begun a movement to replenish the glass. 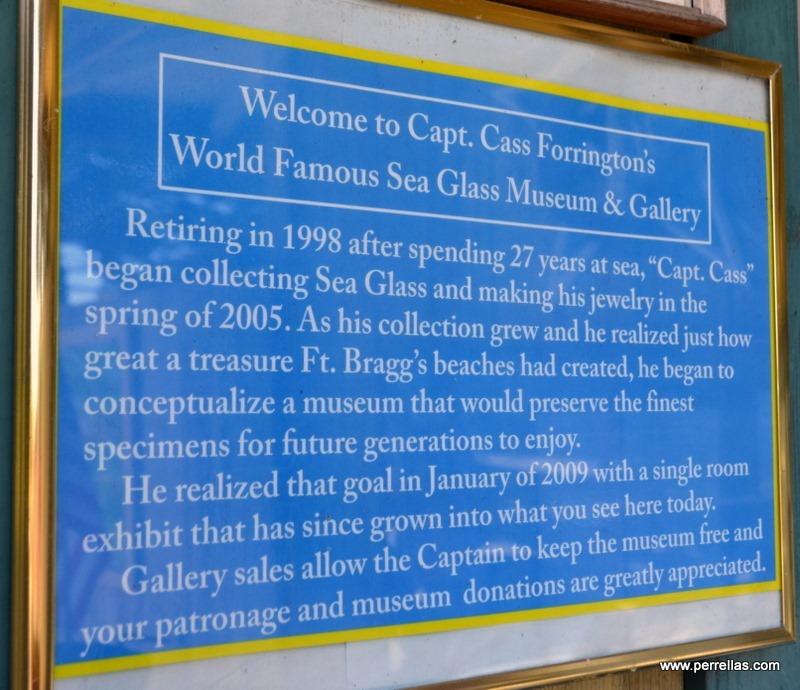 The Captain’s private collection of sea glass is expansive and a visit to his museum on the main street of town is a must see. 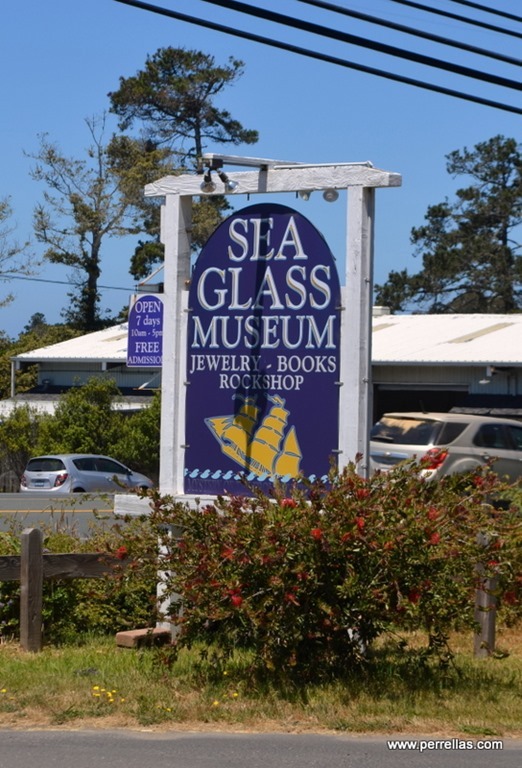 We visited his modest but well stocked and informative Sea Glass Museum and chatted with staff member Christopher about the museum and its history. 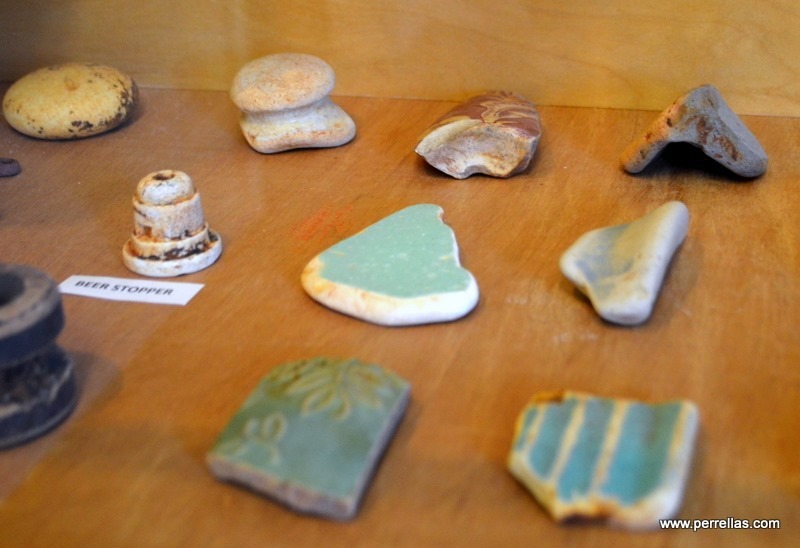 and innumerable glass covered display cases containing multifarious exotic pieces of pottery, glass and fragments of vintage rubble. 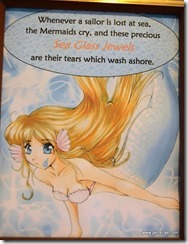 Sailor folklore claims that sea glass pieces are tears shed by mermaids. 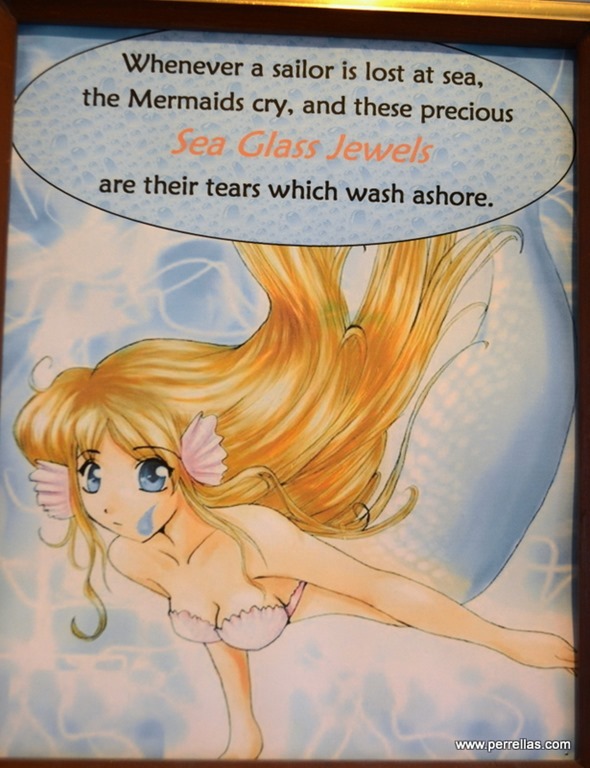 Neptune’s jealous wrath brings mermaids to tears when they fall in love with a sailor. 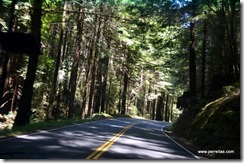 We donated to the cause, took a brochure listing the chances of finding each glass color and wound our way back home through the forest of hairpin 20 mph turns. 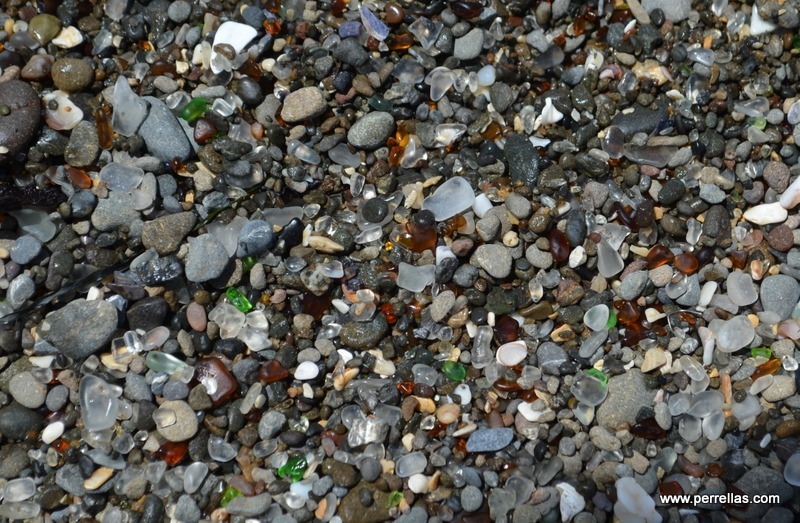 The trip took nearly an hour and the twisting made the long and winding road leading to our door an uncomfortable ride for my back but not enough to keep me from eagerly planning our return for another attempt at finding red trash glass. Up early and on the road by 8:30, we arrived an hour later and already pickers had converged on the beaches. This time I came prepared. Two pair of sandals, a towel, a trowel, a large screen sifter, drinking water and a reusable plastic grocery bag. 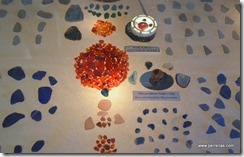 I was in serious glass picker mode and would not be deterred from my goal for lack of equipment. 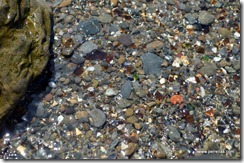 I started my search at the water’s edge. 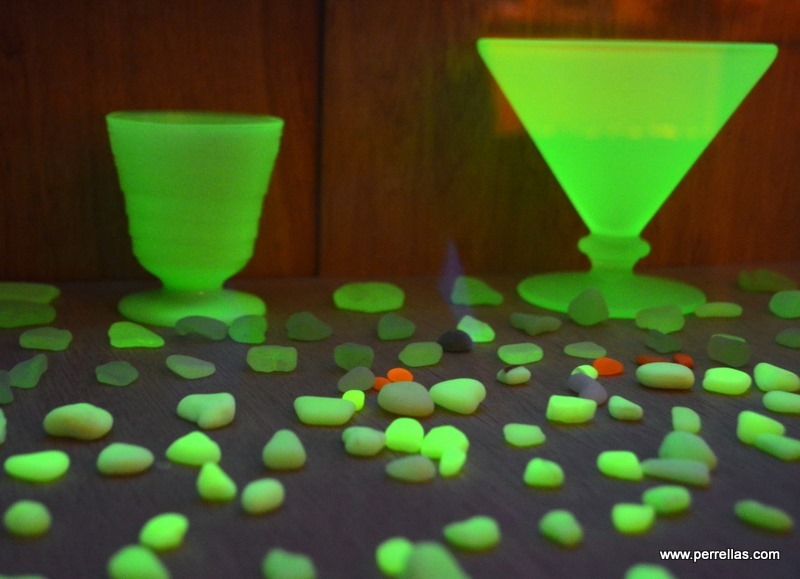 After half an hour, red glass was nowhere to be found. 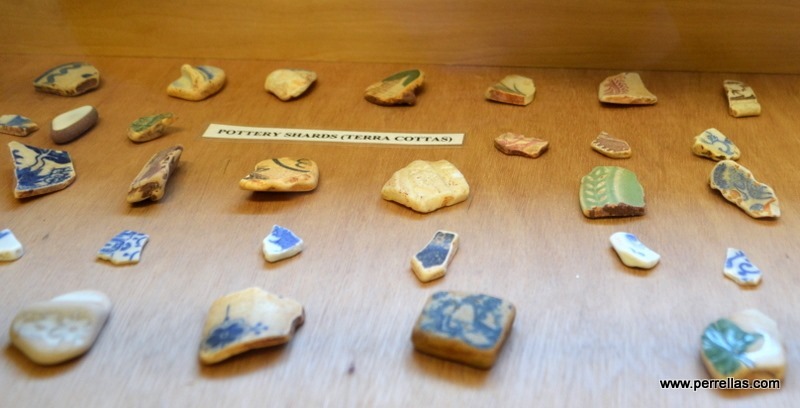 I switched my focus to pottery shards, clear glass and oddities. After two hours on the beach, John was noticeably board, KatieBug was frustrated from being held in check and was straining against her leash in an effort to break free and dash around the beach. 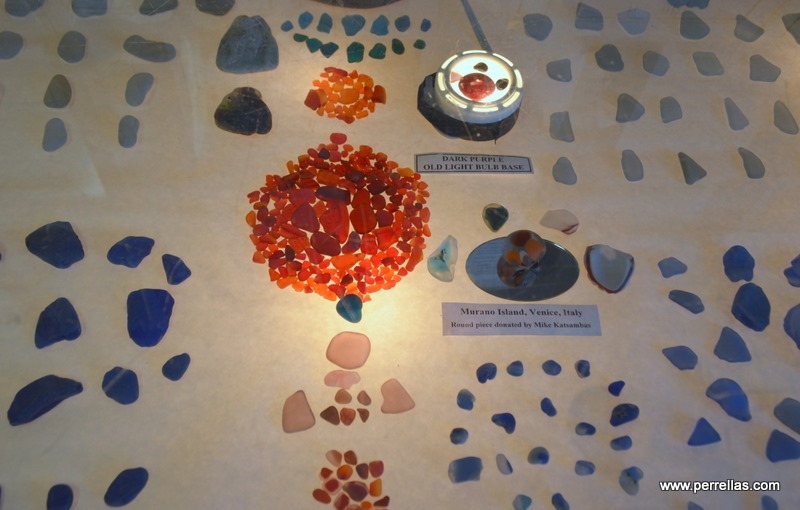 I was gleefully successful as a picker but minus the apprized red glass. To reward John for his patience, we searched for a café serving fish stew, his favorite, along the waterfront of Noyo Bay. 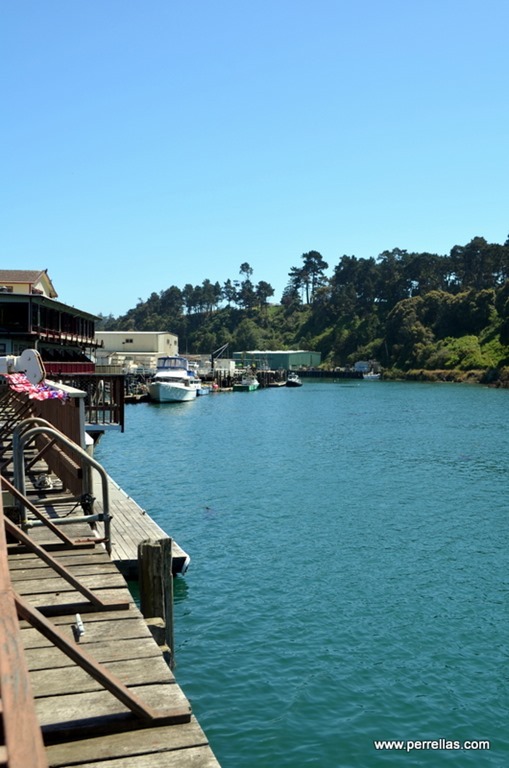 Finding an open café with tables outside, John got his sea treat, savoring the flavorful tomato and fish stock broth while KatieBug and I enjoyed views from the dock and cooling breezes being pushed to shore from the ocean. 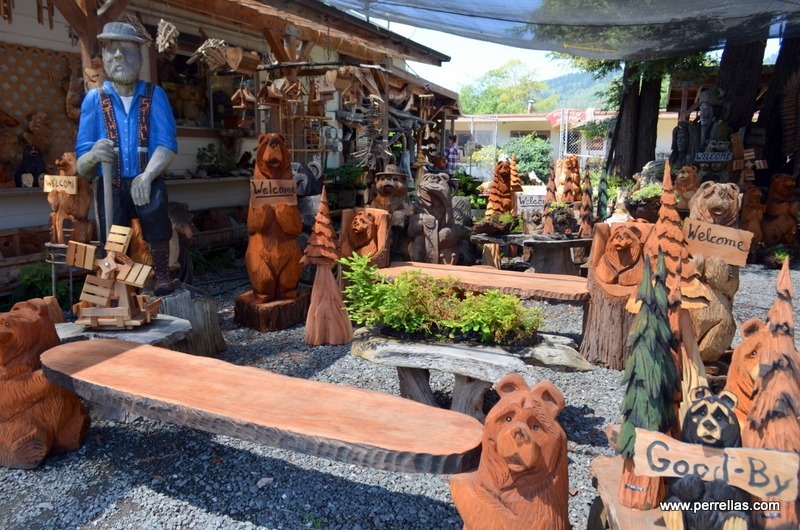 Our travels have led to discoveries of quirky American creativity and ingenuity. 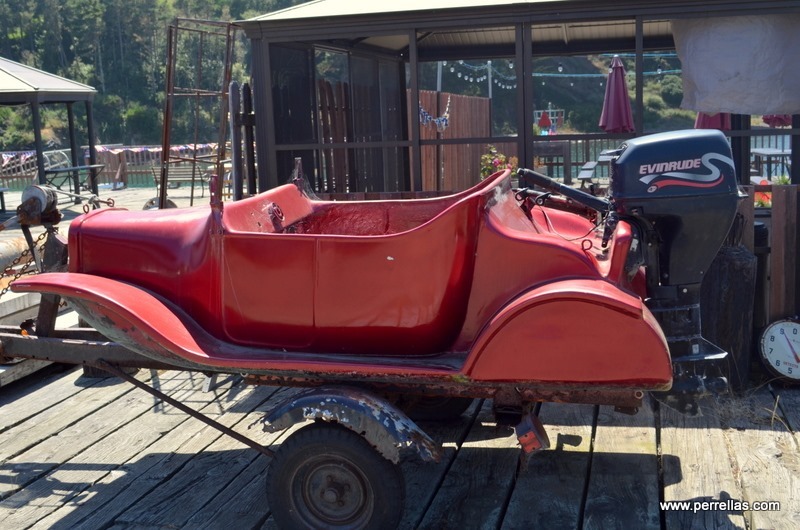 Parked out front of the café seating area, a vintage car transformed into an outboard motor boat. 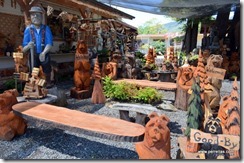 Passing three resale shops the previous day, John stopped so I could check out the local resale pickings. A soft baby blanket to cover KatieBug’s bed, a tea light holder and vintage buttons for me, all for pocket change. 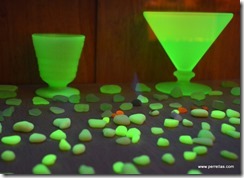 Everyone was ready to return to LilyPad for a lite dinner, relaxation and night-night. A day of rest before we would set out early next morning. Groceries, laundry, a few packing and stashing away chores before nightfall and turning in early. 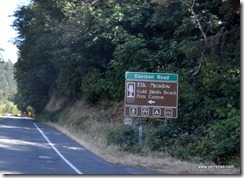 At the break of dawn, we were off and traversing the bends of 101 to Eureka, our next destination. 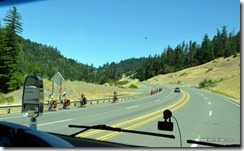 The omnipresent long distance bike riders rolling along highway shoulders, in succession, sporting brightly colored shirts and helmets. 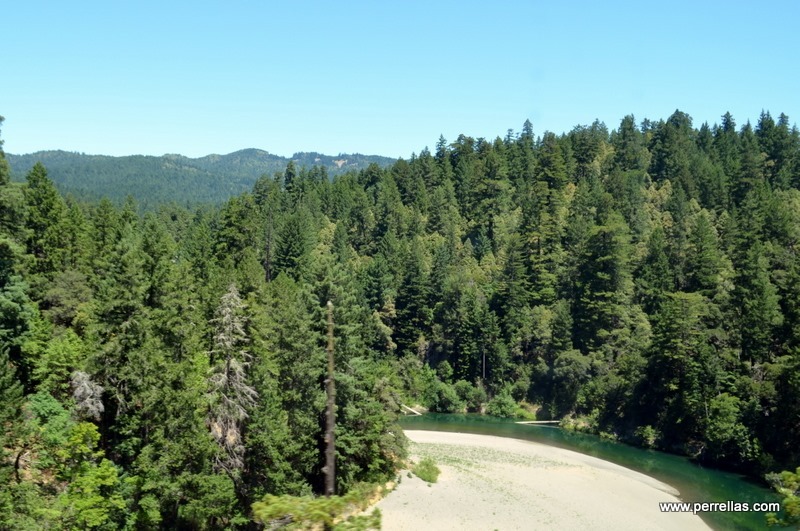 Rounding one more bend of the peacefully meandering but seemingly never ending Eel River. 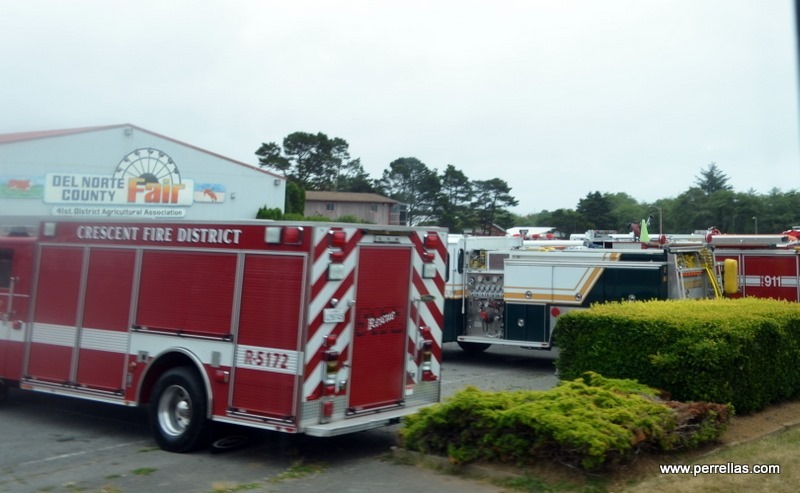 The multitudes of emergency fire fighting equipment parked near the road should have been a clue that fire conditions were high and thick black smoke might possibly be blowing around the state. 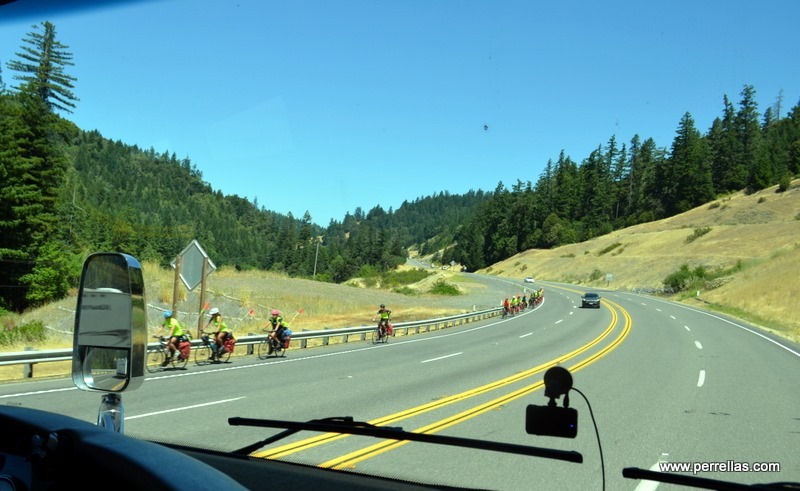 Putting the thought aside, we continued forward. Nearing the river once again, the traffic slowed to a crawl. 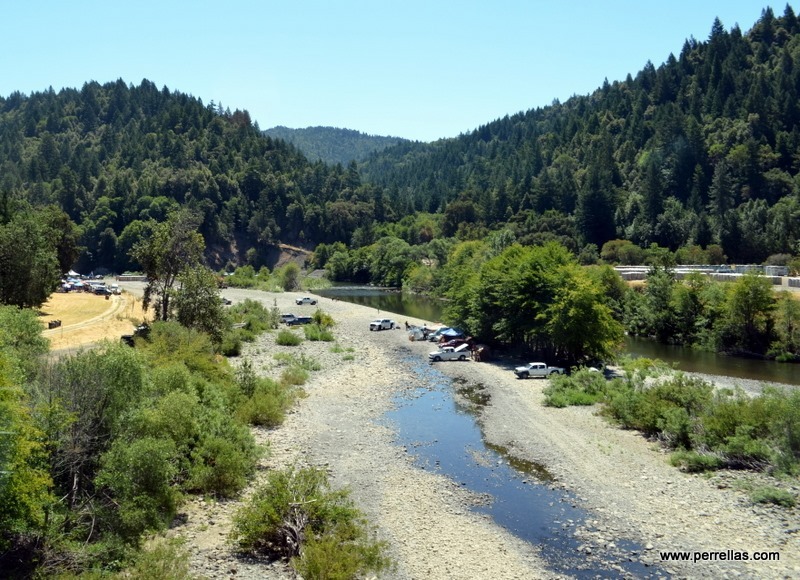 Cars, vans, small trailers and trucks packing overnight camping paraphernalia were exiting, making their way to the rivers edge. 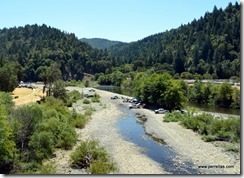 It appeared a large festival was expected to happen along Eel River. 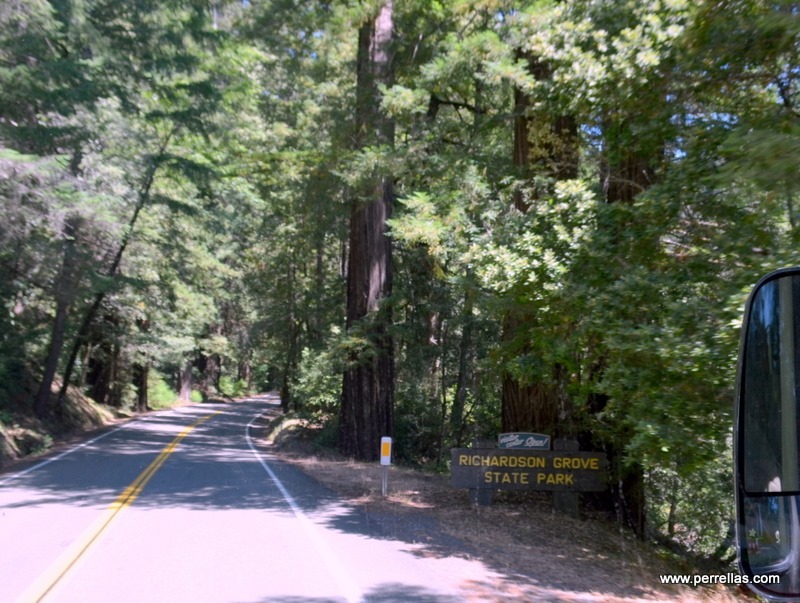 Richardson Grove State Park, 75 miles South of Eureka and the arrival of welcome shade under the redwoods. 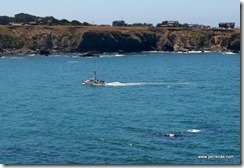 We pointed LilyPad in the direction of Eureka Elks Lodge. 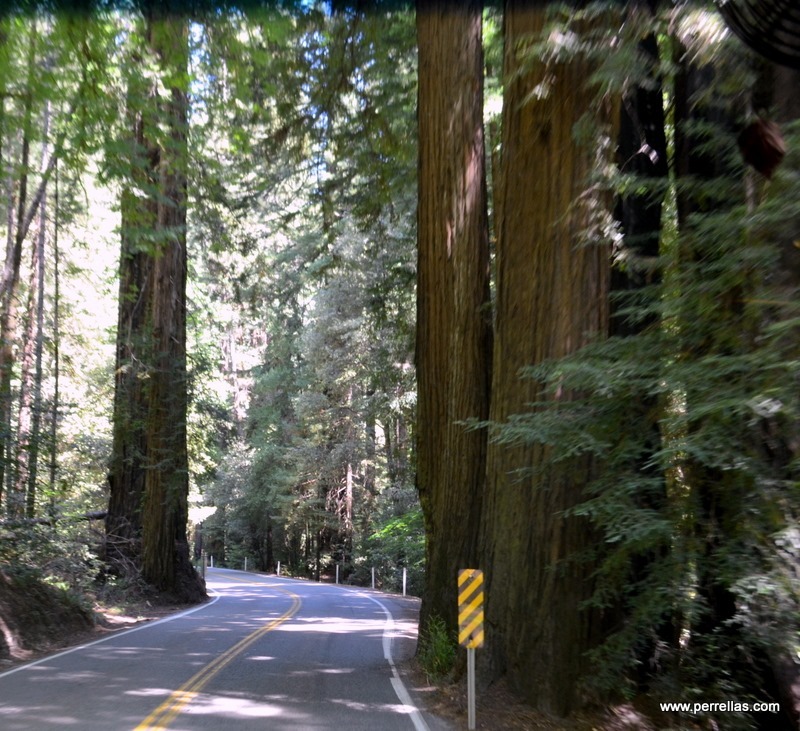 The Yin and Yang of traveling through redwoods; magnificent natural beauty but sharing narrow winding roads with cars, 18 wheelers, other RV’s and bike riders. My first time through was a white knuckle experience. Now we both breath easier and enjoy the scenery. 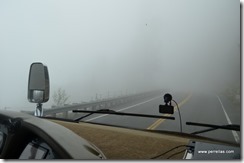 Forever changing, the weather was pleasant to start, then patchy fog reduced our view for short distances. The secret for getting a good site at an Elks Lodge is arriving early, preferably before 10:00 am. Not a possibility when traveling long distances, we rose at six o’clock, pulling up stakes and on the road by seven, four hours of rolling later, we pulled into a site. 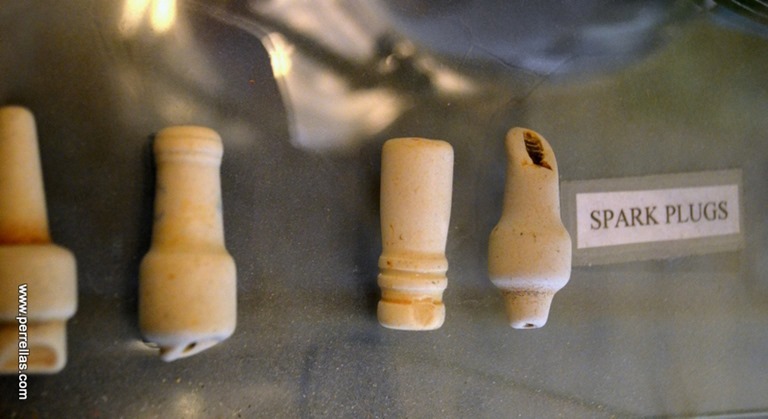 The Elk Lodge Spirits were in our favor. 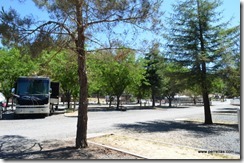 The RV park was busy but not yet full so we backed into our site and began our settling ritual. By afternoon, all sites were filled. 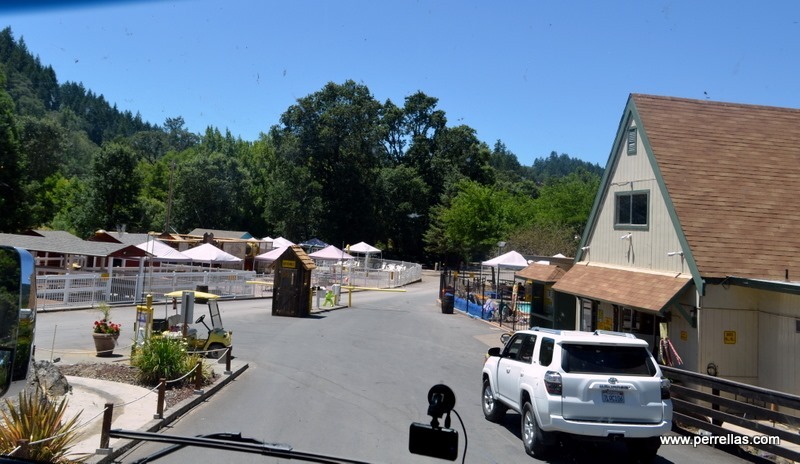 Lodge members strolled around the grounds, chatting, greeting each other before heading to the well-stocked bar for drinks which Elks Lodges are well known to offer at extremely reasonable prices. 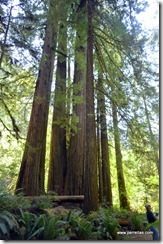 Eureka is Redwood country. The Eureka Elks Lodge was full the entire five days we stayed. 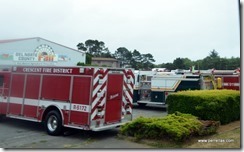 One RV would leave and the site was immediately replaced by another within the hour. 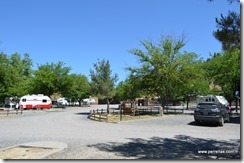 All were a friendly group of campers and this is an active Elks lodge. Our second night, we joined in the Cook-Your-Own-Rib-Eye-Steak night, $20.00 for a filling full meal deal. 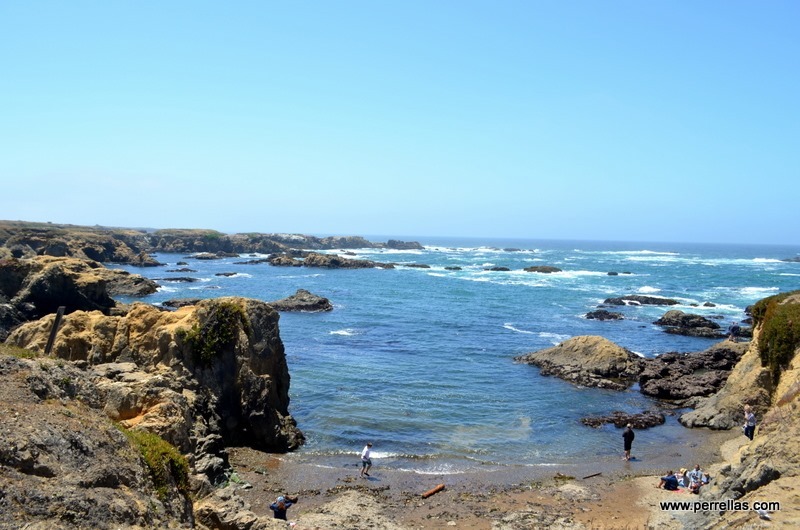 The small coastal town, for the most part unremarkable, is known for having a higher than average population of meth heads, also known as regular users of methamphetamines. 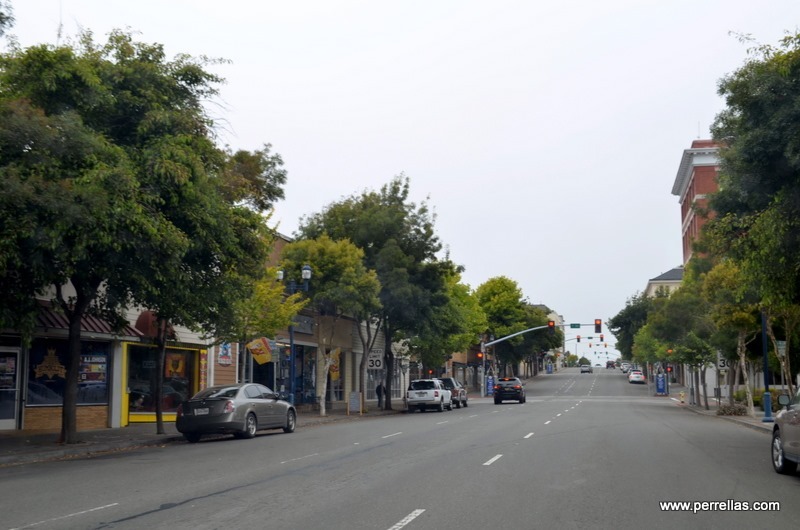 They walk the streets chatting with ghosts, sit on curbs cursing at traffic and lay on blankets in front of resale stores, some greeting customers, some agitatedly cussing at customers. We have grown used to their presence but avoid close proximity because of their explosive outbursts and unexpected actions. 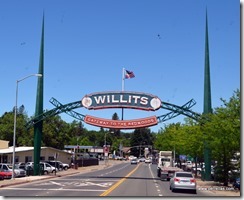 The historic part of town is clean and presentable. 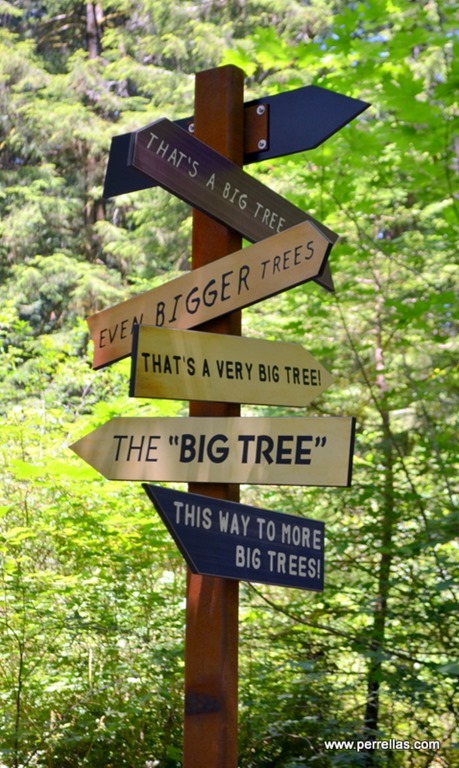 We plan to check out what it has to offer nearer to the end of our stay. 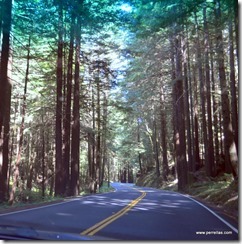 Our travel to the redwoods brought us through Roosevelt Elk country. 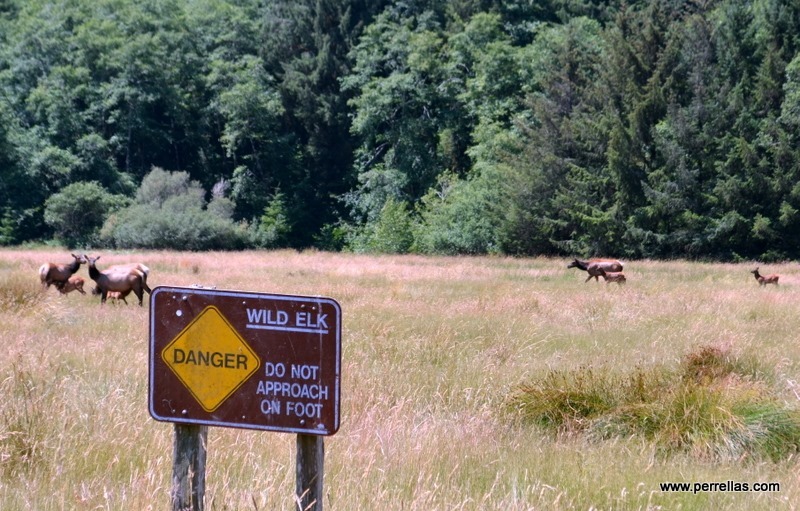 Once almost extinct to California, the elk are now making a comeback and thriving on the edge of the forest. 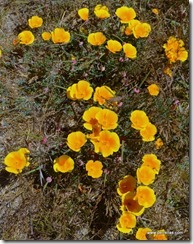 Late 1800’s to mid 1900’s the land was a former private pasture for cattle and sheep. 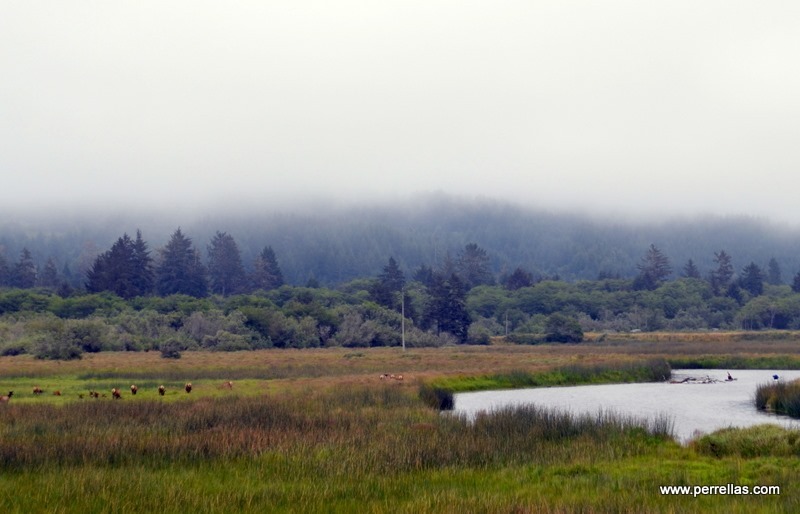 When the land became part of the national park, herds of elk living in the old-growth forest migrated to this area. 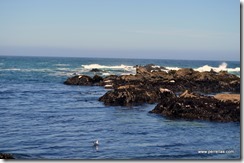 I am habitually drawn to wild animals so we stopped to view the herd. People never cease to amaze me, small children and dogs being led onto the field by their parents, frighteningly near where mother Elk are grazing with their young. Danger signs posted every few feet but “stupid” somehow prevails. 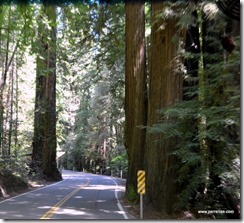 Redwood tree sightings were our only plans. 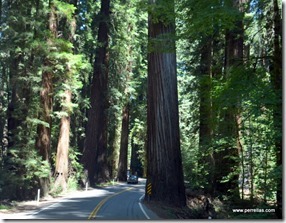 We had visited Avenue of The Giants last time through so we chose to explore the various smaller surrounding parks. 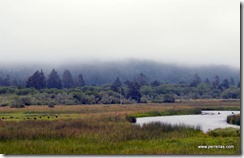 Early morning travel invariably results in stretches of dense coastal fog. We would come to small clearings then plunge back into blankets of the thick dampness. 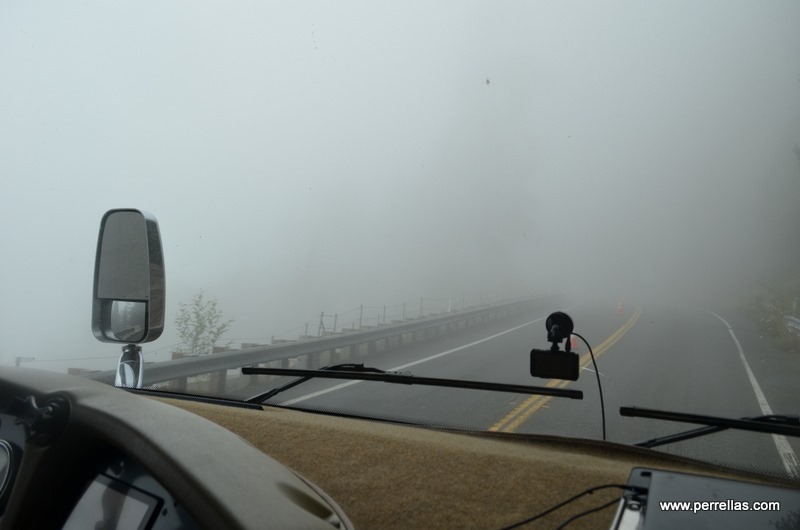 Peripheral sight being smudged, John slowed substantially when driving into each patch. 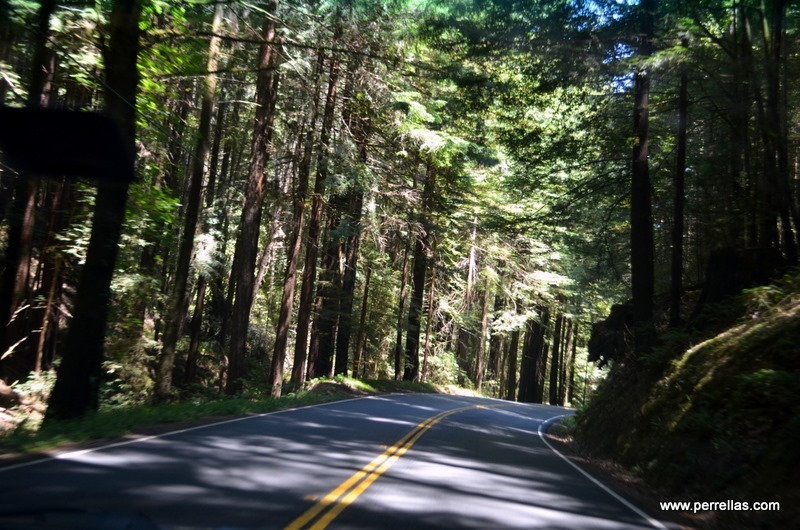 There are some mighty steep drops should you veer off California’s skinny coastal roads. 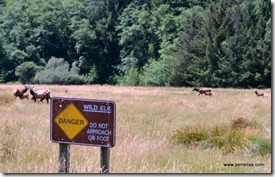 One clearing granted me an excellent photo op of a herd of elk watching kayakers who had slowed to view the elk. 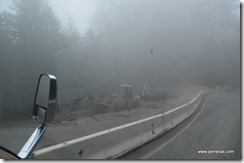 Coupled with fog are the continual repairs being done to highway 101. 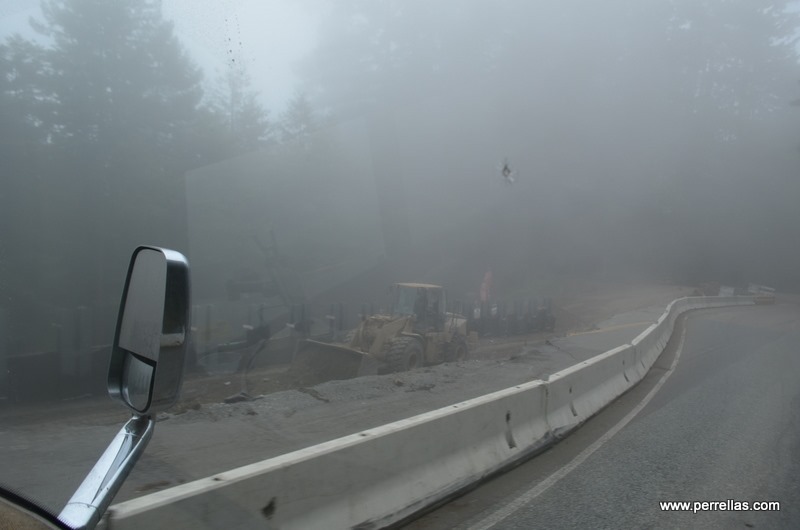 Constant traffic paired with immensely weighted logging trucks, a multitude of 18 wheelers hauling life necessities to the coast and big rigs like ours traversing the highway eventually break down the unstable foundation of the roads, splitting sections off and sliding chunks down the steep embankments. Repairs are ongoing throughout the year and the resulting lane closures slow travel to a snails pace. 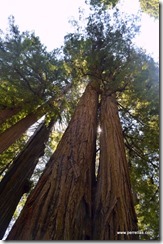 There is something primeval about walking among the Redwood groves above and beyond their pungent scent and colossal size. 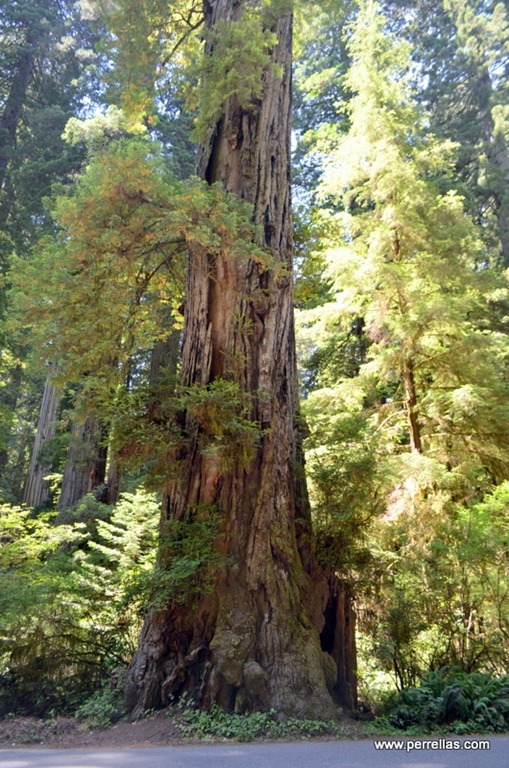 Redwoods have thrived for 240 million years, dying decaying old growth giving birth to young seedlings, old trees nursing young until they are strong enough to join the intertwining communal root system. 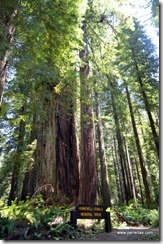 Fifty miles north of Eureka, Prairie Creek Redwoods State Park is a coastal sanctuary for old-growth Coast Redwoods. 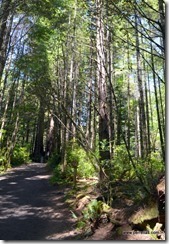 We entered the park and stopped near the trail to hike into the trees, our first visit to the groves this year. 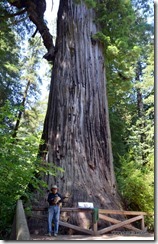 Prairie Creek is home to the “Big Tree” and is our morning destination. 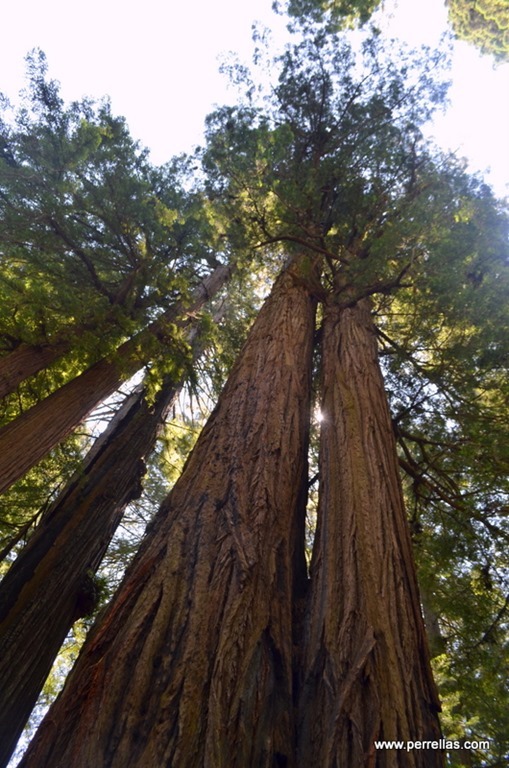 Crowds were low and exiting the car, our eyes were met with the familiar heavenly filtered spears of light piercing through the thick needles above, we stepped out on the decaying dampness underfoot and our noses were overwhelmed with the thick scent of moss and redwood. 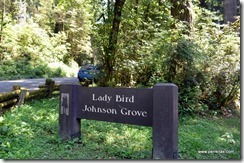 The morning was becoming warmer so John carried KatieBug on our hike, no pets allowed on these trails. 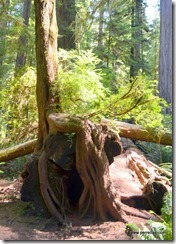 Along the path, an example of the tenacity of tree roots. 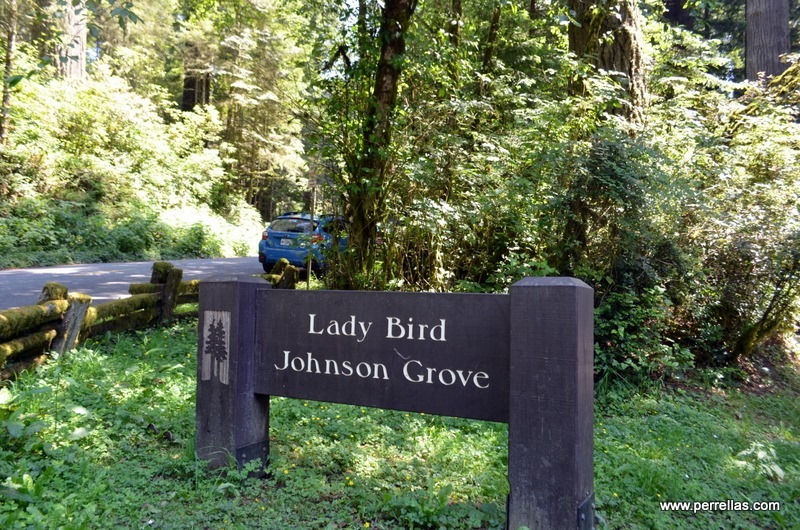 Back into the car, our next stop being the famous Lady Bird Johnson Grove. Only a short hike to her namesake grove and as an added attraction, the trail is pet friendly. 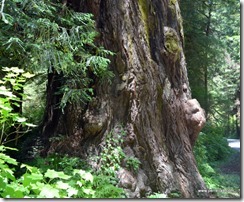 We rested near The Hunnewell-Donald Memorial Grove before reversing our direction and returning to the car. 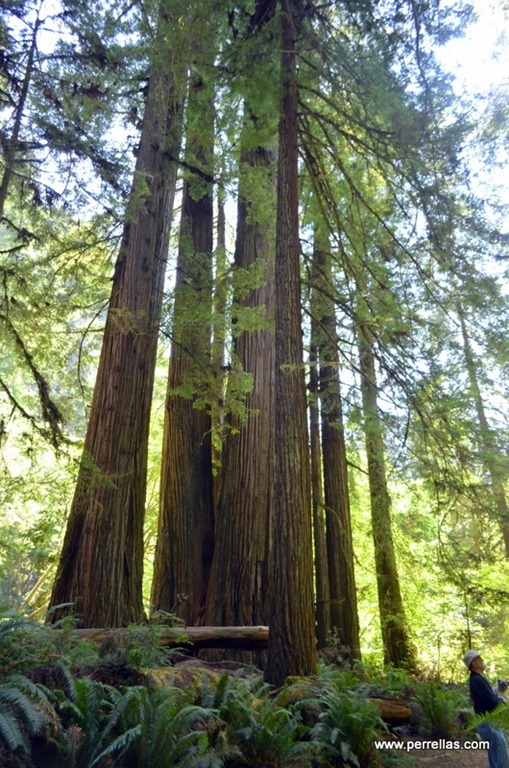 Californians found an ingenious way to preserve redwood groves. 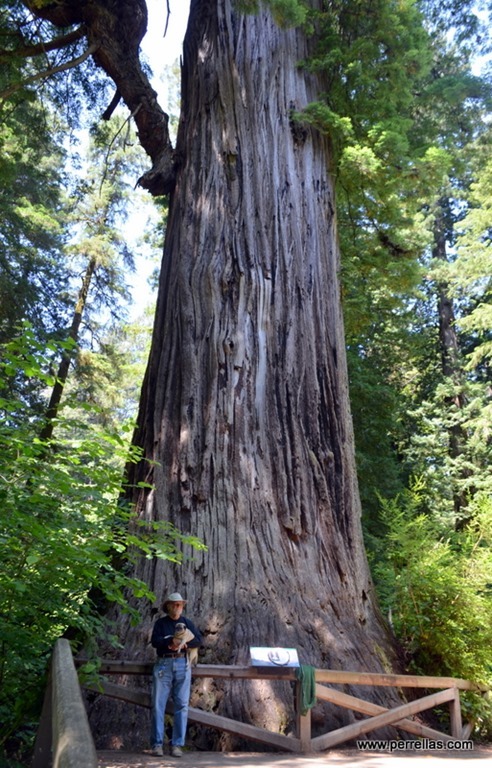 If interested, you can contact www.savetheredwoods.org, and make a contribution, dedicating a tree or grove in honor or memory of someone or something you love. 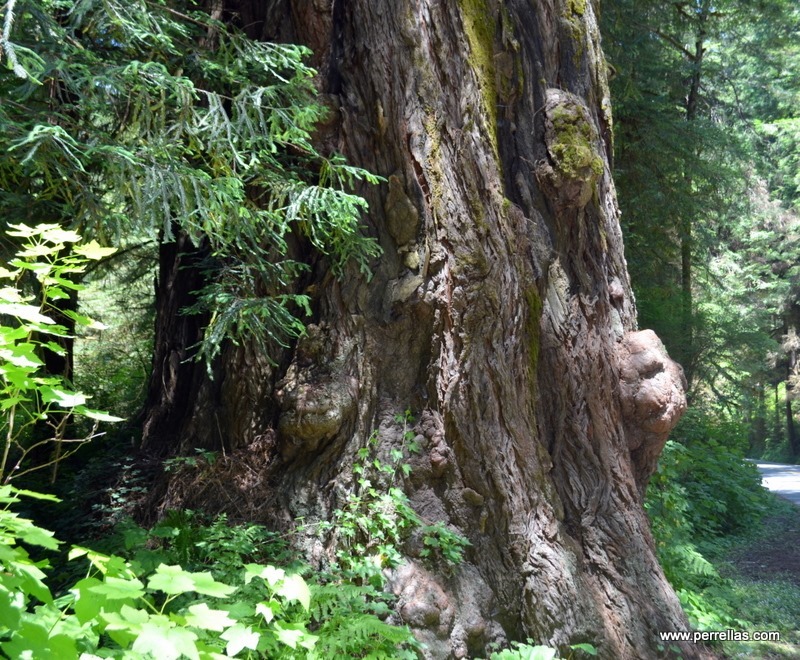 When a redwood tree undergoes stress from an injury, virus or fungus it generates a burl. 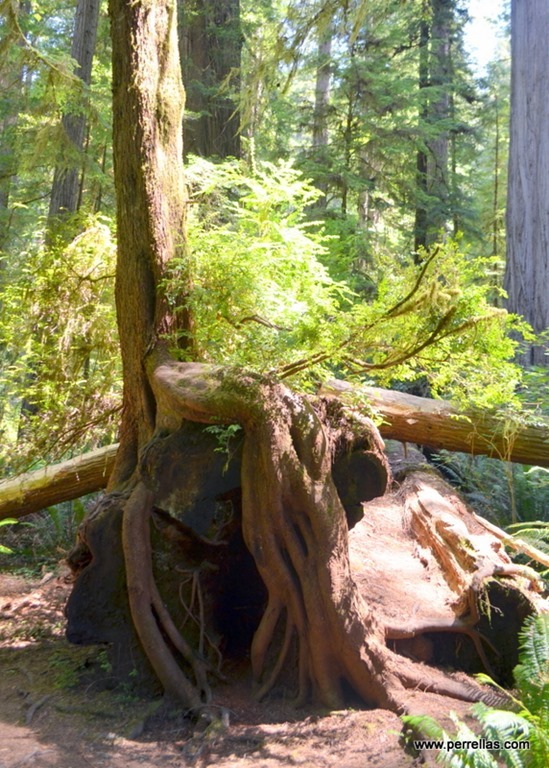 A burl is covered by bark and if removed, set partially in water and kept at a steady humidity level, will sprout redwood branches. Having a successful past history of green thumbism, I bought two that came carefully nested in bags of shredded redwood and tied closed to safeguard them from drying out. I was given directions for their care by an old codger who claimed the burls would be fine until I reached Texas, several months away. You can see the green sprigs in his burls laying in a tray in the picture below. 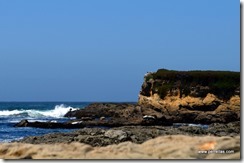 Sometimes I am gullible or trusting or both. To date, one of the burls rotted, one has produced two spindly branches and I am carefully nursing it daily. 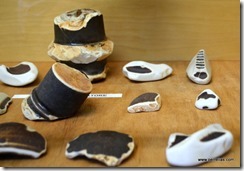 Apparently burls do not live happily in motor homes. Back to LilyPad for the evening, dinner and lights out. With the morning light, comes the fog. 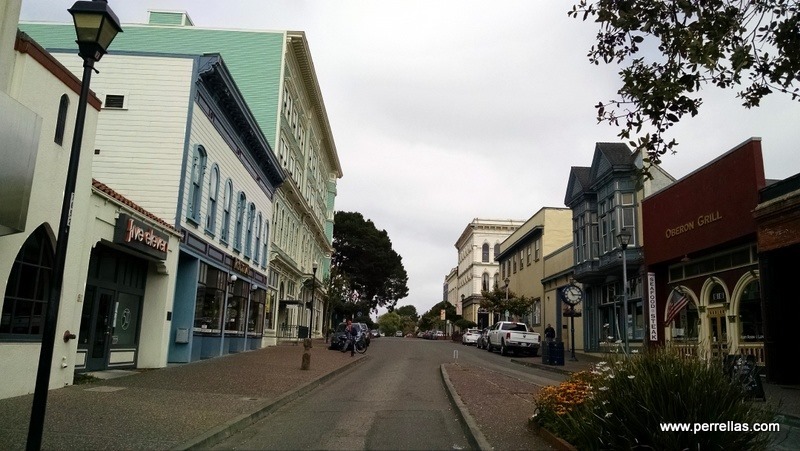 Wanting to explore historic downtown Eureka, we took care of necessities first. With groceries, laundry, cleaning and other chores completed, we drove into town to explore. 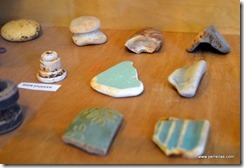 Resale shops first, then down to the docks to stretch our legs. 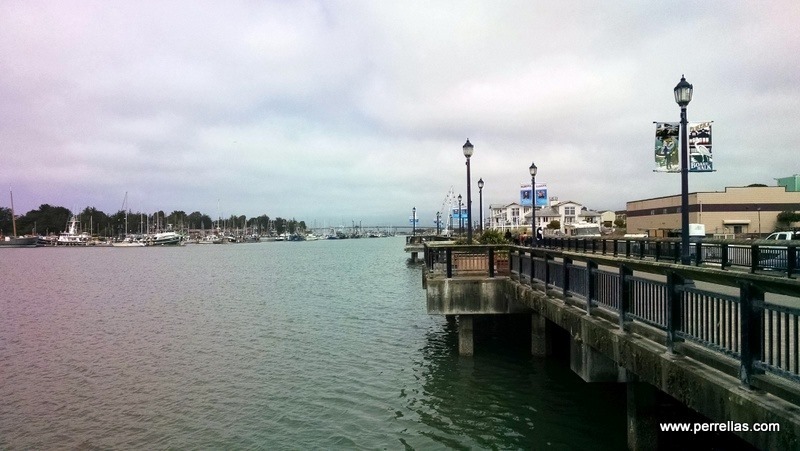 The pier and docks are in transition but offer a lengthy level span of a waterfront wharf for walking. 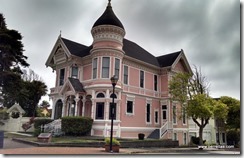 Next we drove by the historic home area to check out two Victorian mansions. 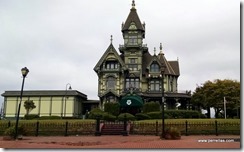 The 1886 Carson Mansion, now the Ingomar Private Club, a fine dining and social experience for its members. 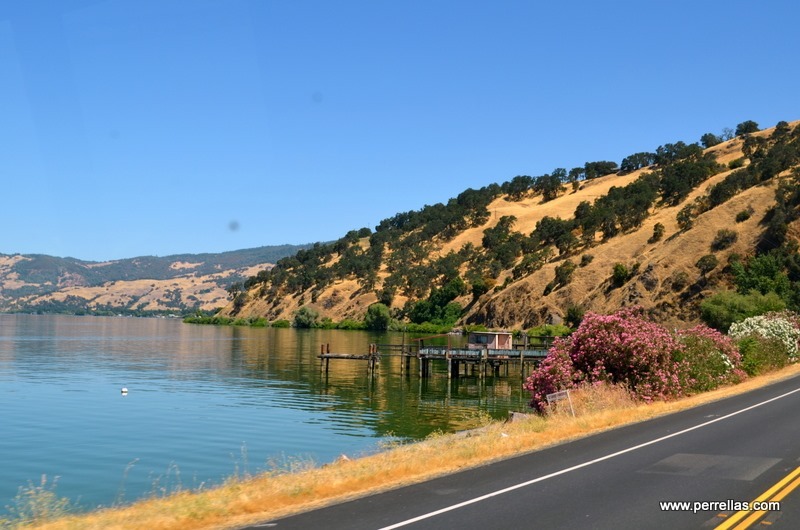 From the location, perched upon the hill, it has spectacular water views. 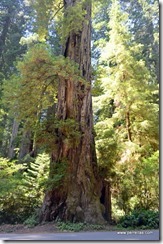 William Carson, a redwood timber baron, is quoted as saying about his Mansion, “if I build it poorly, they would say I was a damned miser; if I build it expensively, they will say I’m a show off; guess I’ll just build it to suit myself.” Within three stories, it has eighteen rooms, a tower and a basement. We were able to see the outside but my minds eye could imagine the adornment of opulence inside, designed by the affluent owner who resided here in a bygone era. 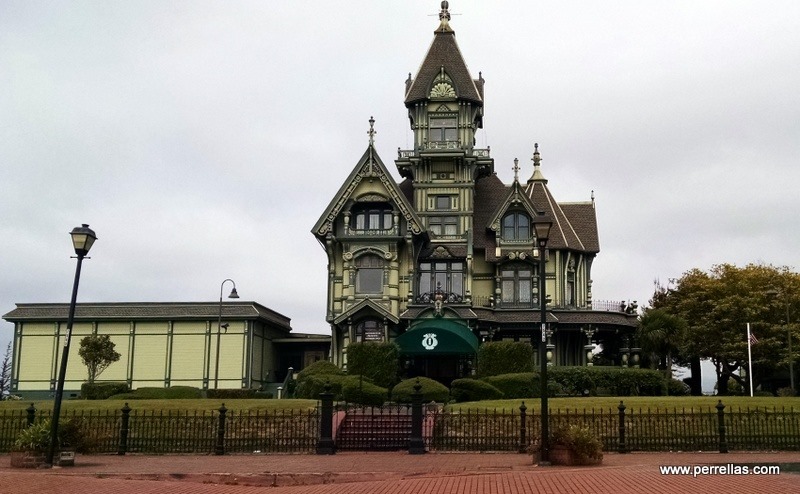 The American Queen Anne Style architecture is considered the most grand Victorian home in America. 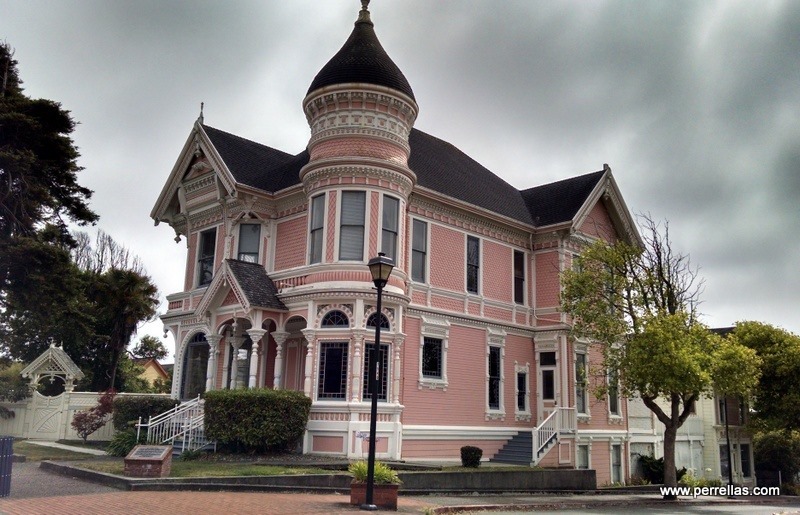 Across the street, the 1889 Pink Lady, built by William Carson as a wedding gift for his son, Milton Carson. Much the same style but less grandeur, the home left the Carson family in 1940 and became a boarding house, falling into serious disrepair. 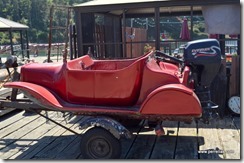 It was purchased by the mayor of Eureka in 1963 and was rehabilitated. Painted pink to contrast with its grand neighbor, the color resulted in the name. The day continued to be overcast. 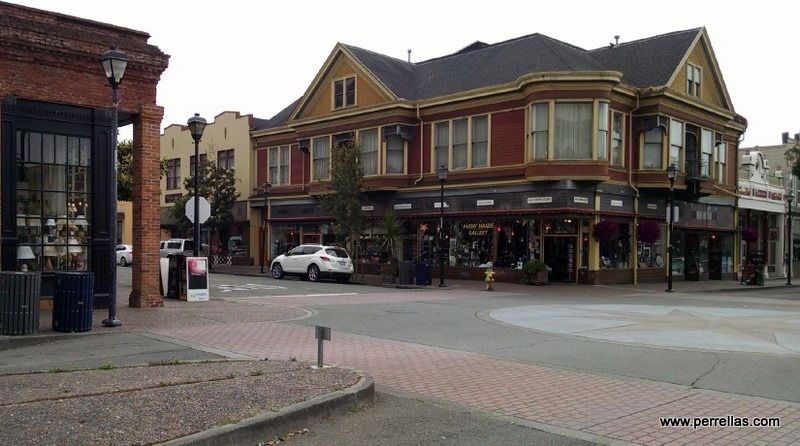 After walking down some of the historic district streets and peeking into several small boutiques, we drove back to LilyPad and made ourselves ready to roll onward to Brookings Oregon first thing next sunrise.